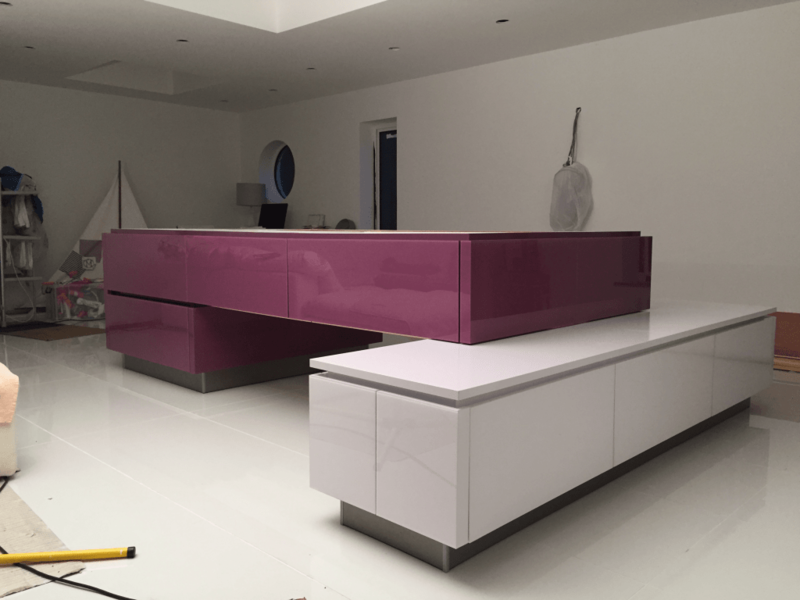 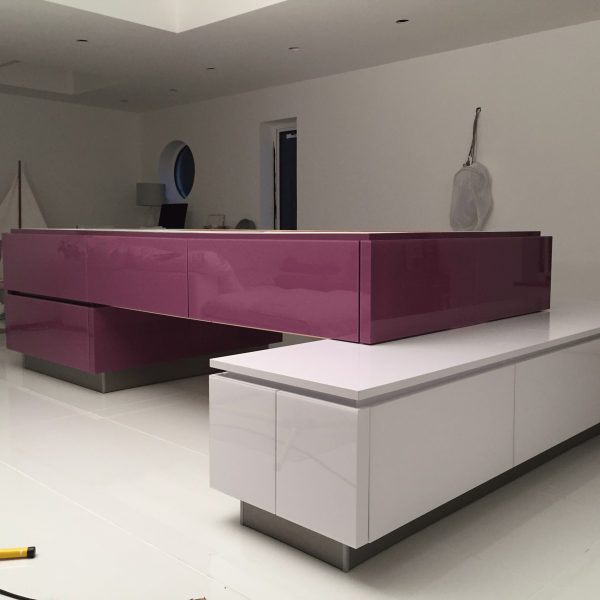 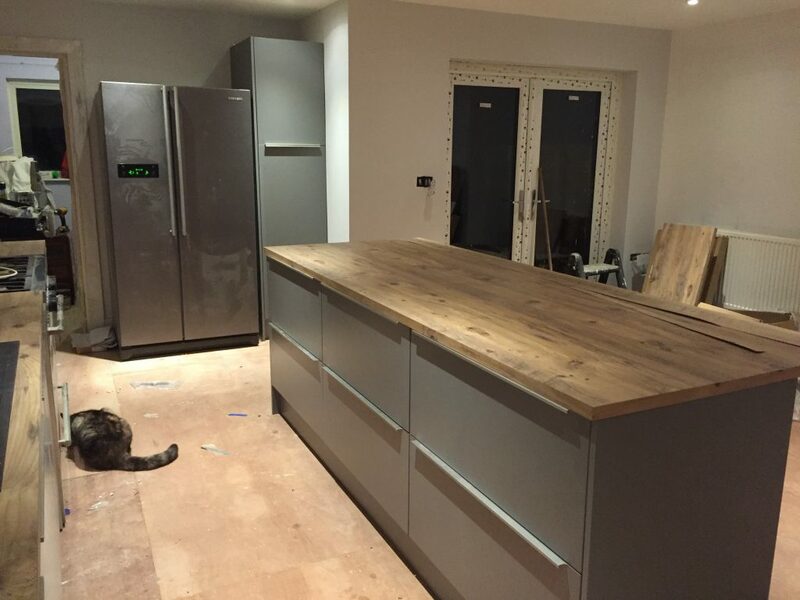 Unleash your inner gourmet chef with our exceptional kitchen fitting service. 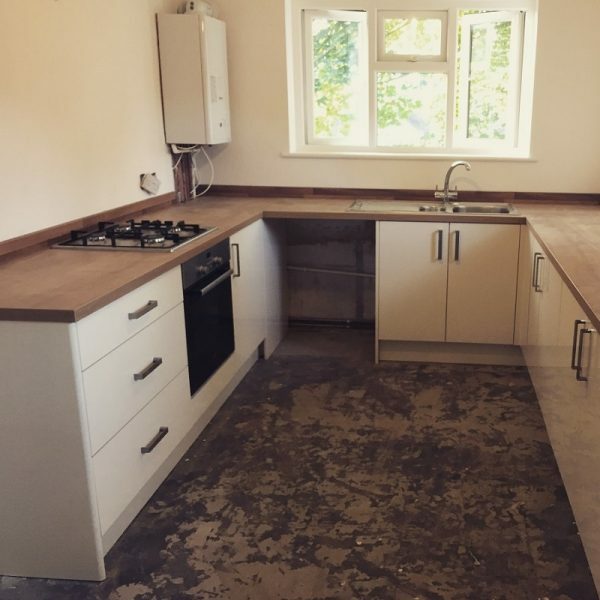 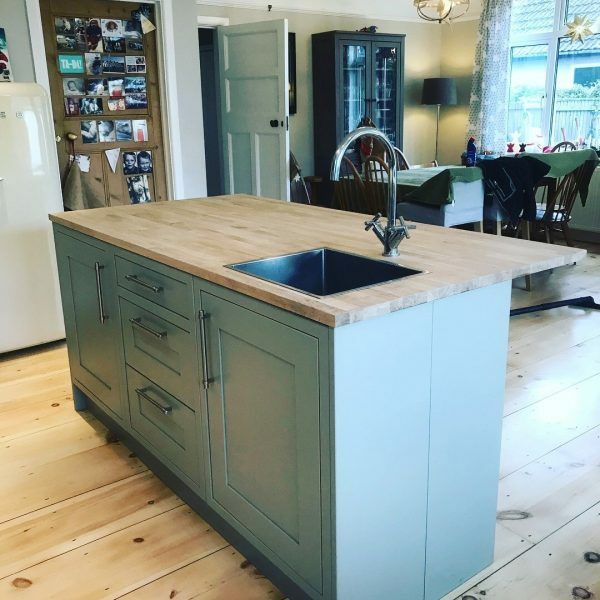 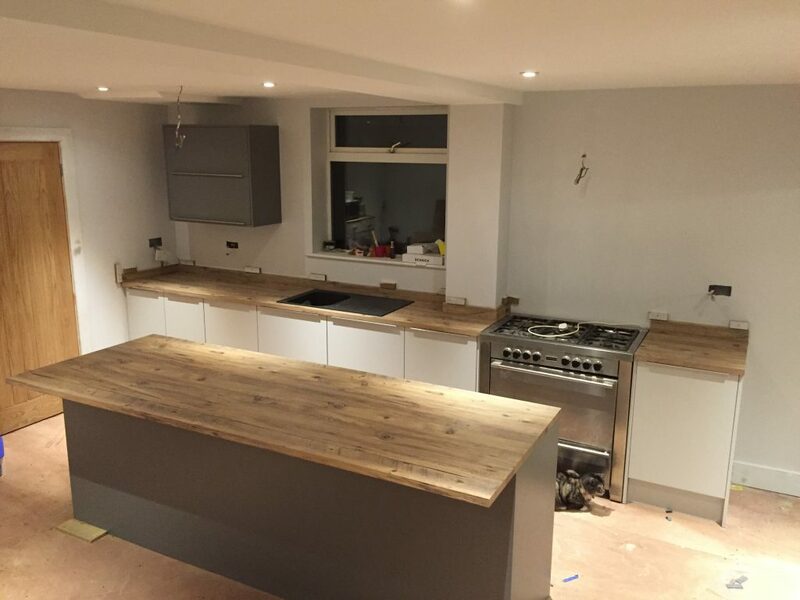 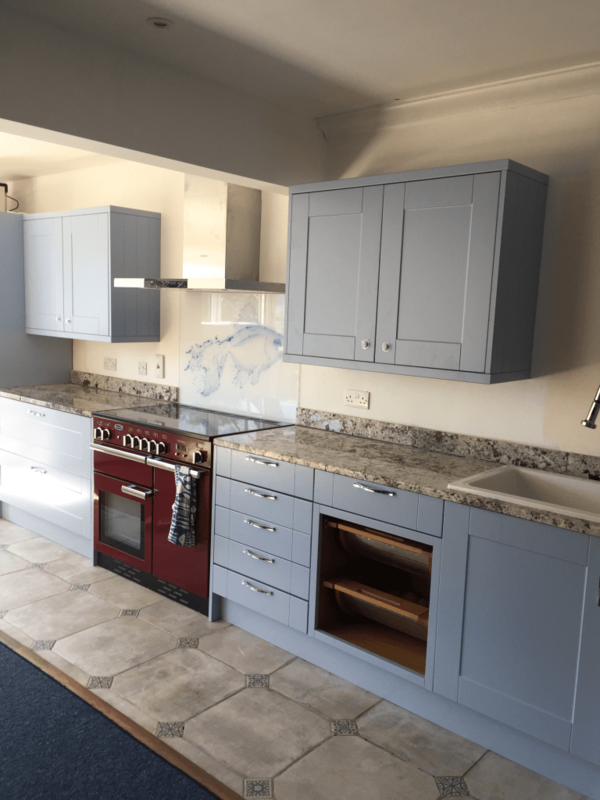 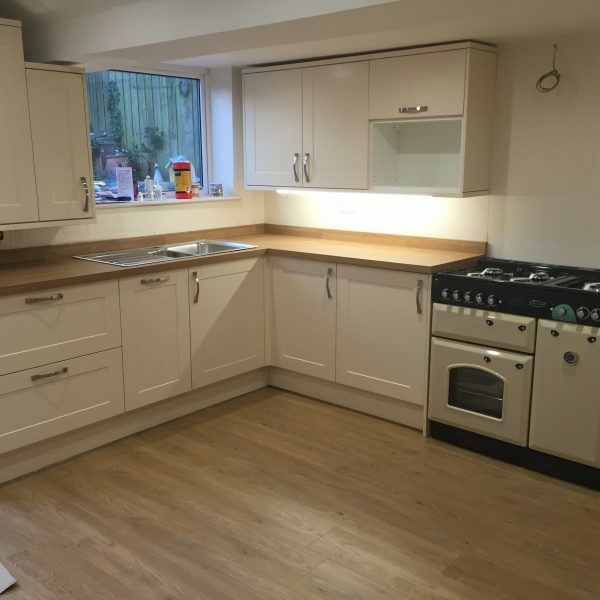 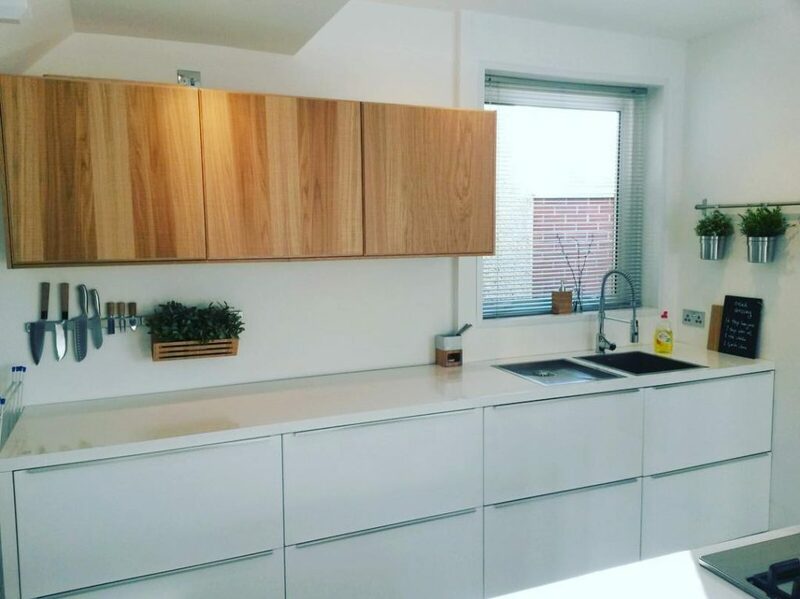 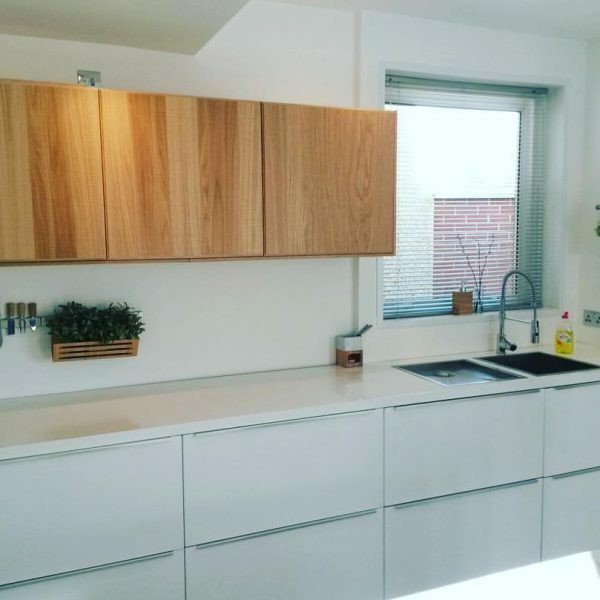 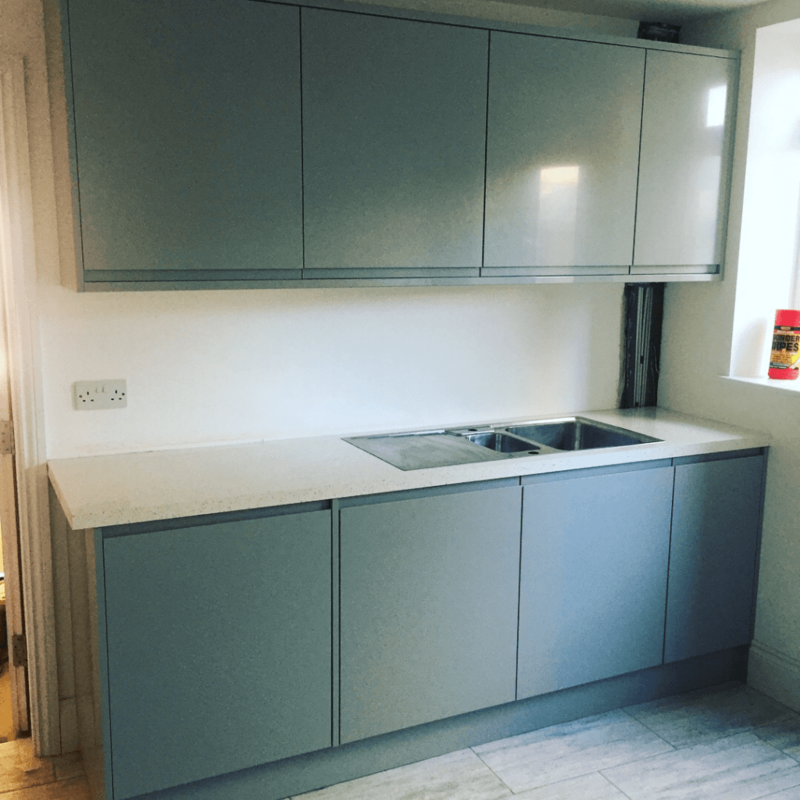 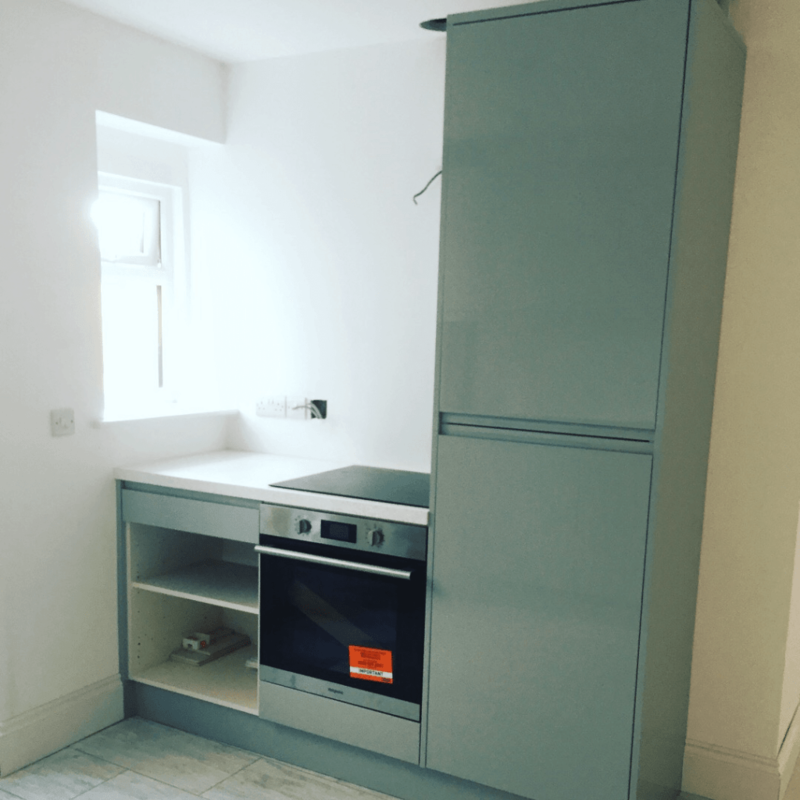 At Burrwood Carpentry, we recognise the kitchen for what it is – a place for you to be truly creative. 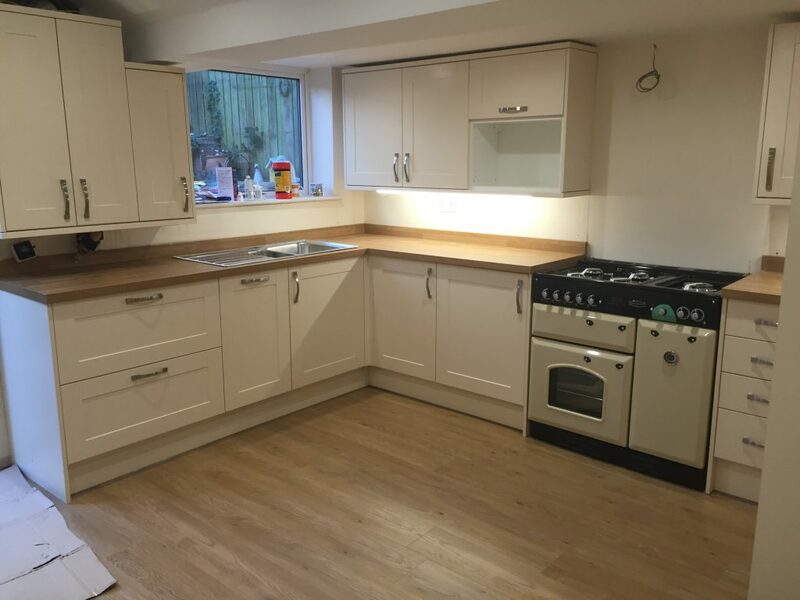 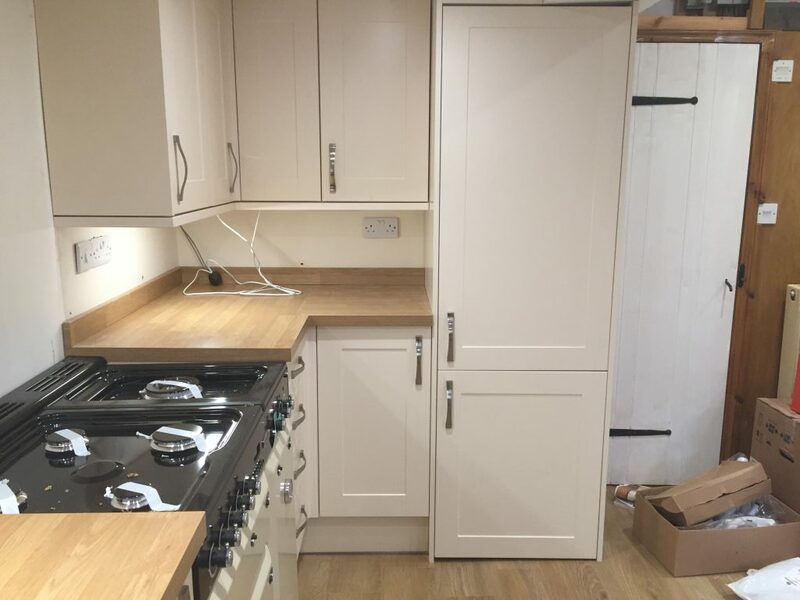 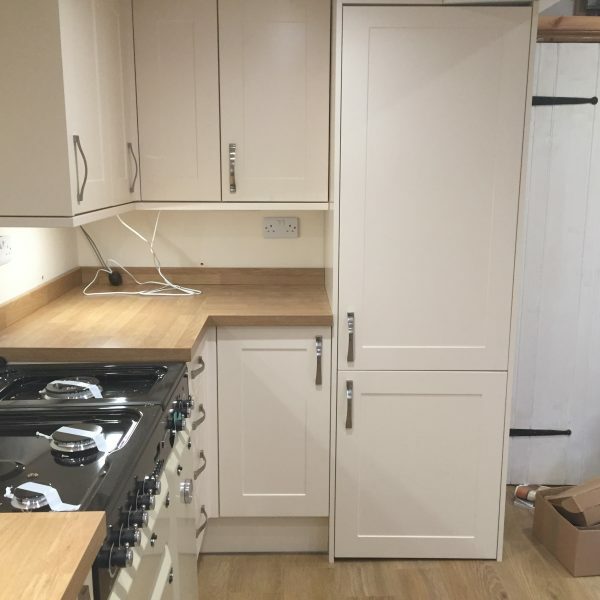 Whether you’re hindered by a lack of space or seeking a kitchen that is better equipped, we are on hand to help. 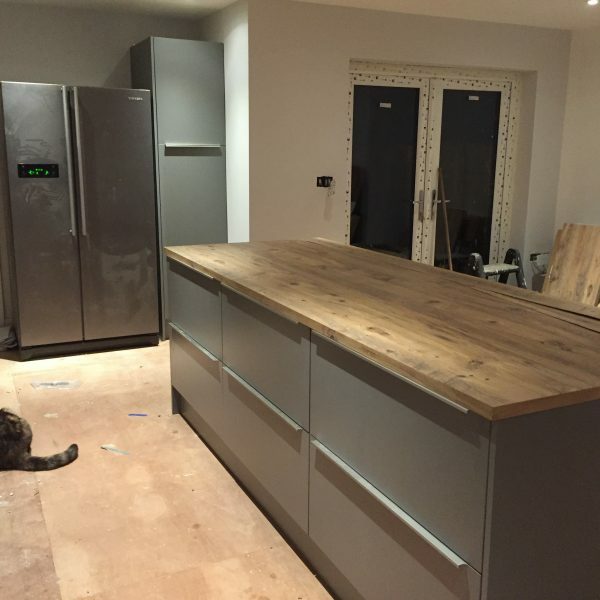 We work closely with you from start-to-finish to create a kitchen that is suited to your lifestyle. 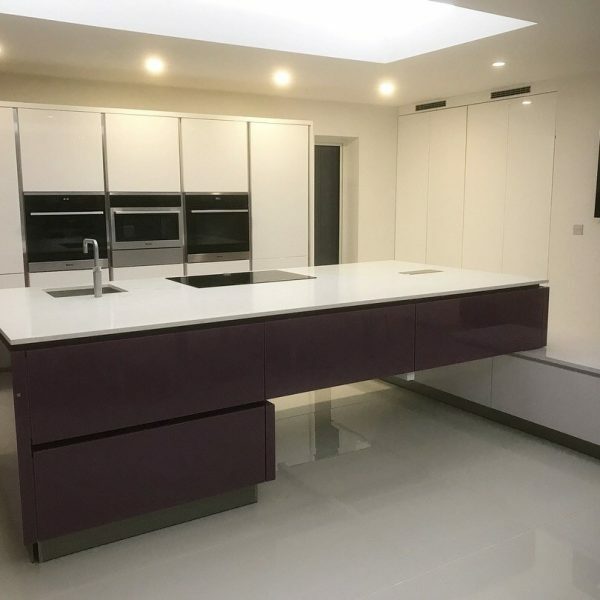 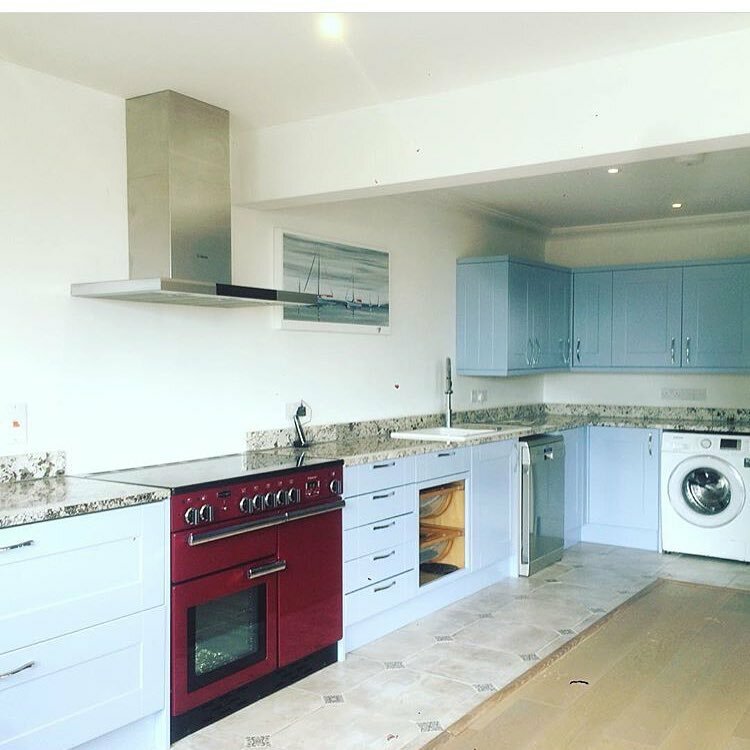 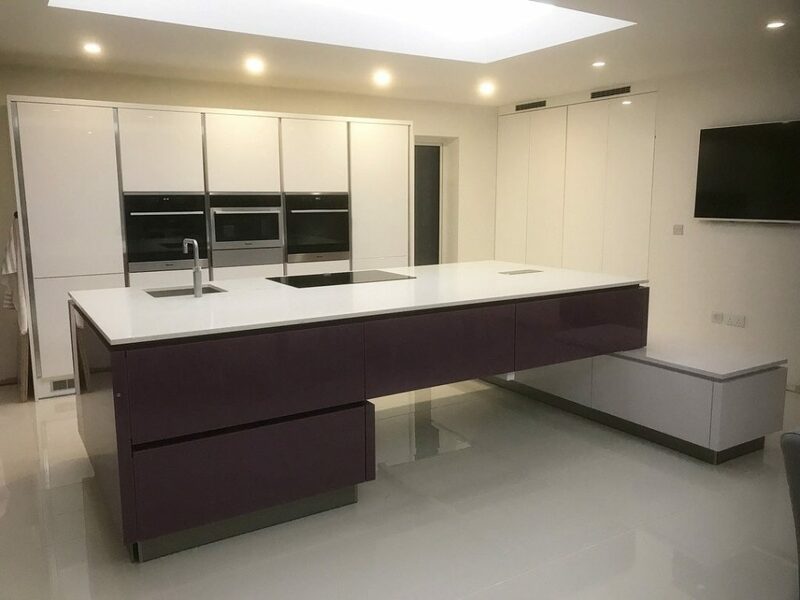 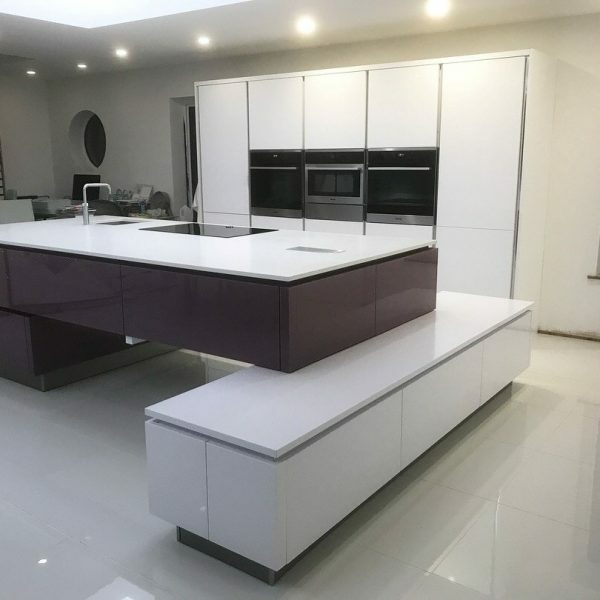 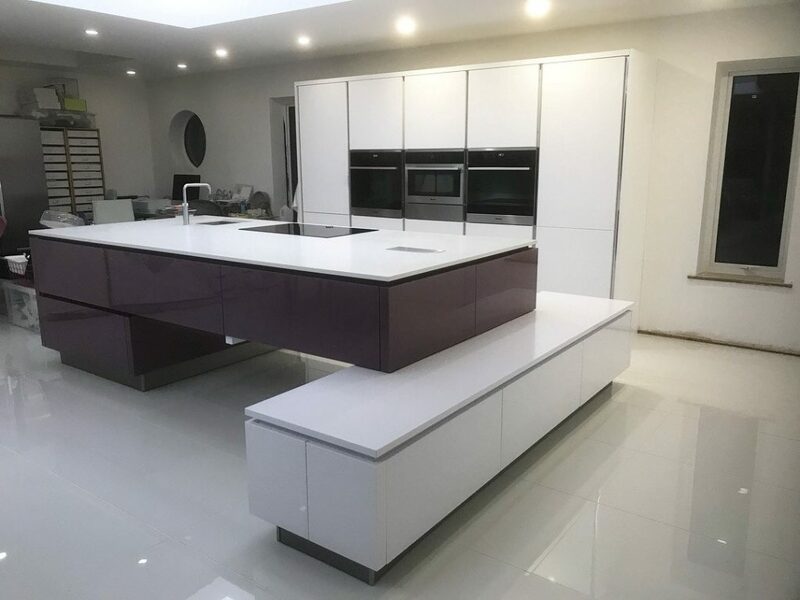 Integrated appliances, exquisite worktops and beautifully crafted cabinets are just some of the many features that we supply. 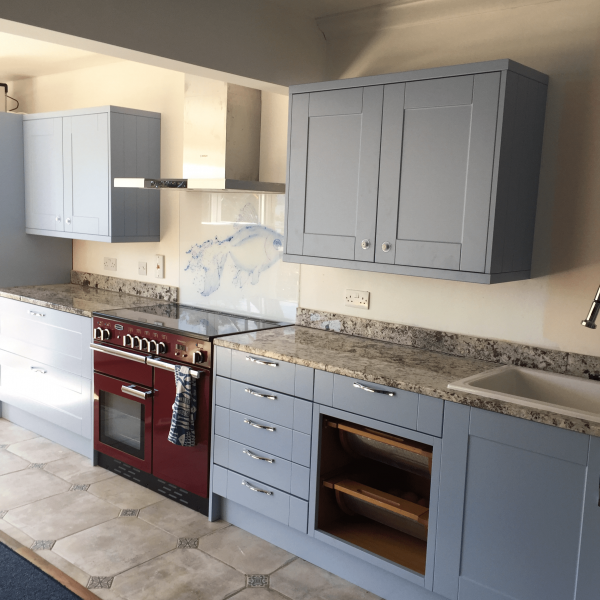 With a kitchen fitted to your specifications, you’ll be preparing and cooking meals like a pro in no time at all. Is your roof falling apart? 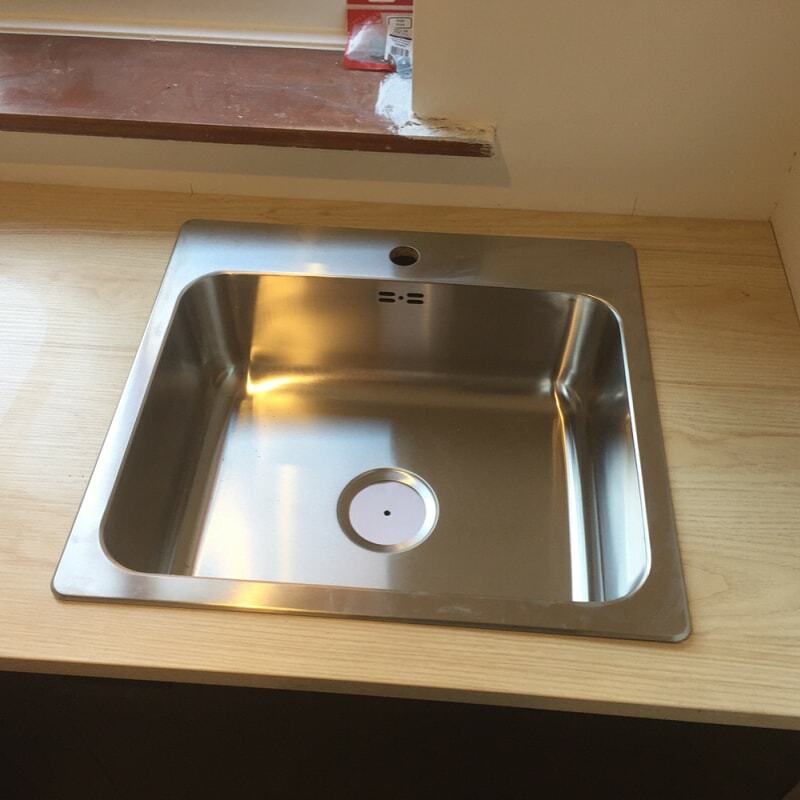 Call us now as we possess the expertise to effect immediate repairs. 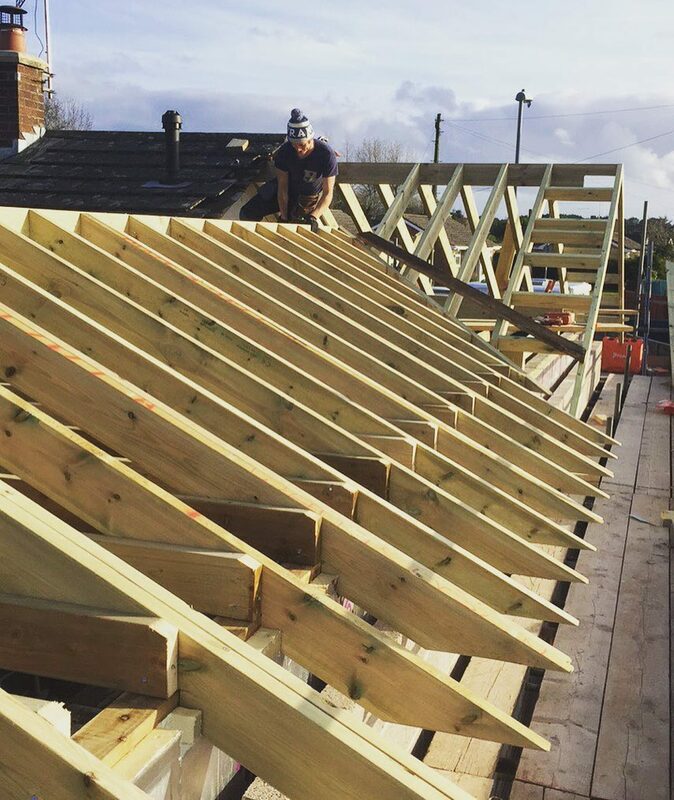 From storm damage to a tile that has come loose, we will restore your roof to full working order. 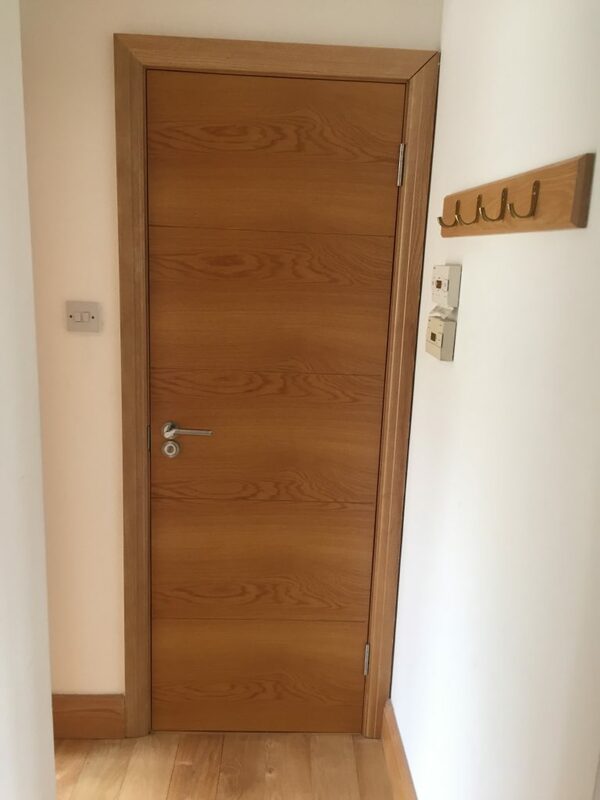 Pick up the phone, and we’ll arrange a time to visit your home that is convenient for you. 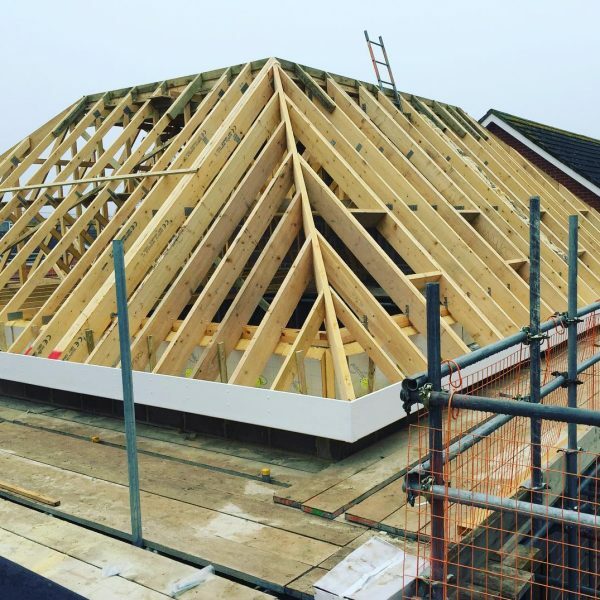 Our prompt and friendly service includes a roof survey and a full written quotation. 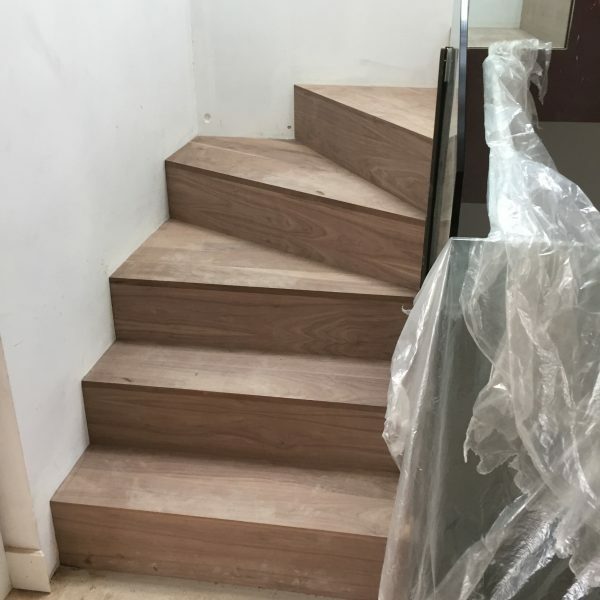 All work will be carried out by our trained professionals. 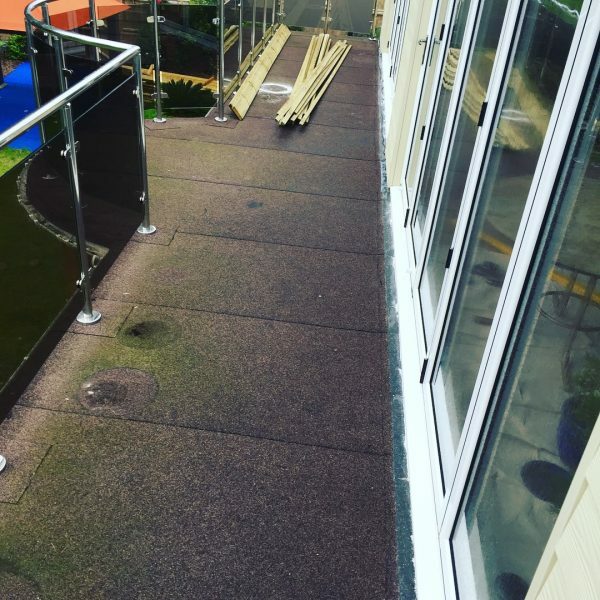 We are committed to maintaining the highest roofing standards while causing as little inconvenience to you as possible. 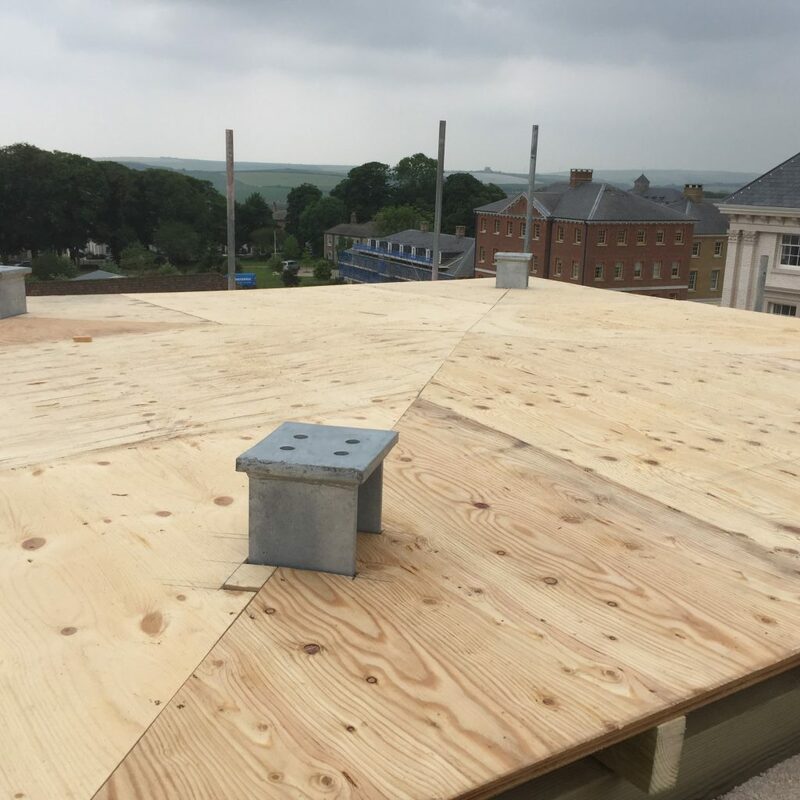 So, if you’re in need of our roofing services, be sure to get in touch today. 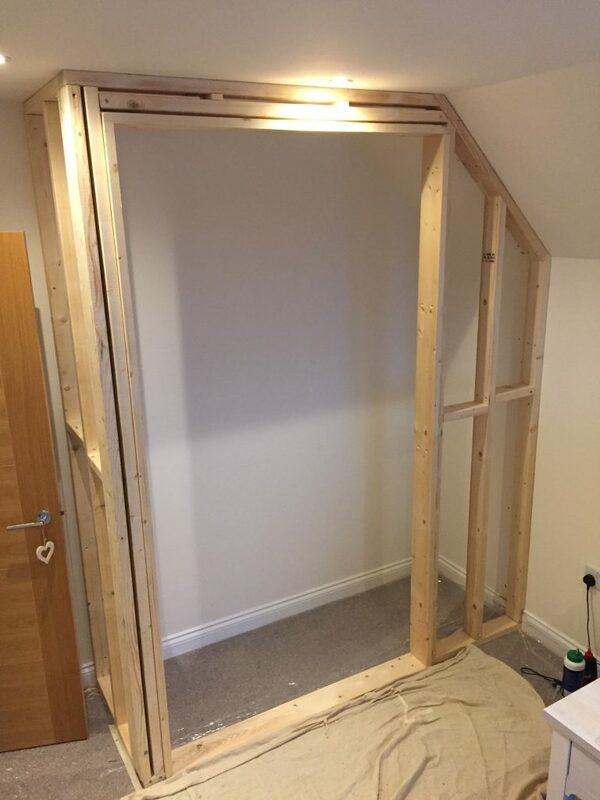 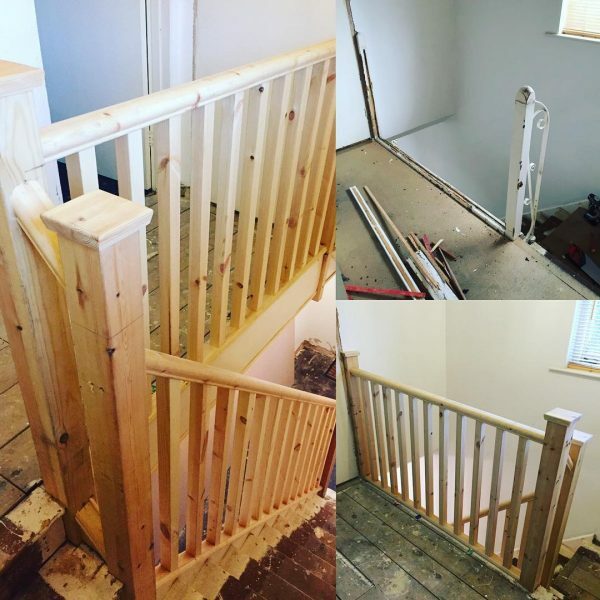 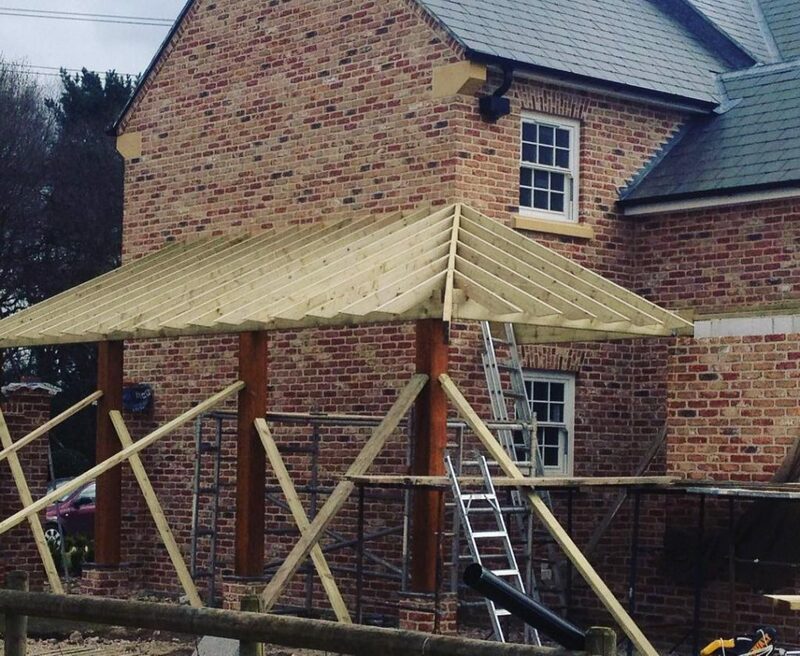 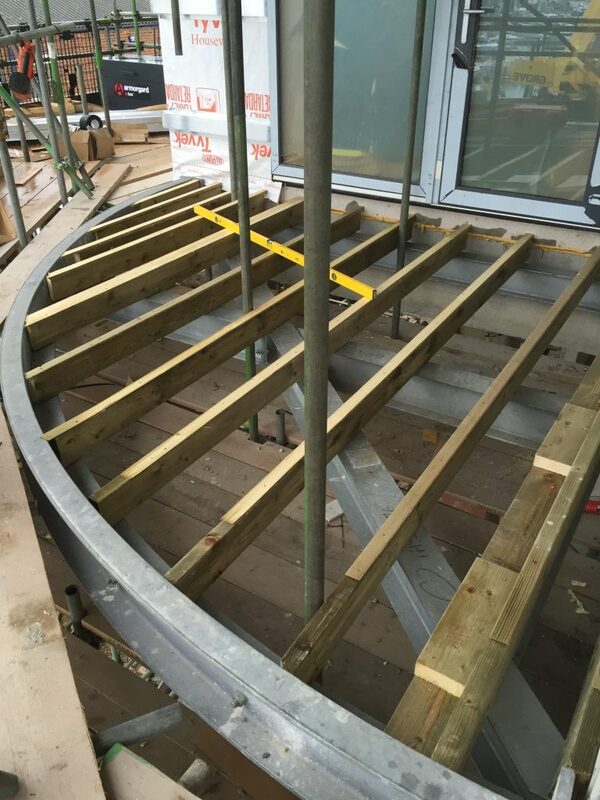 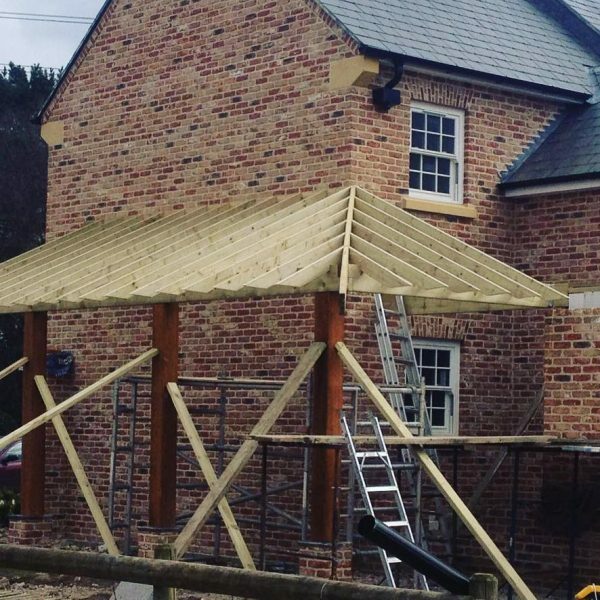 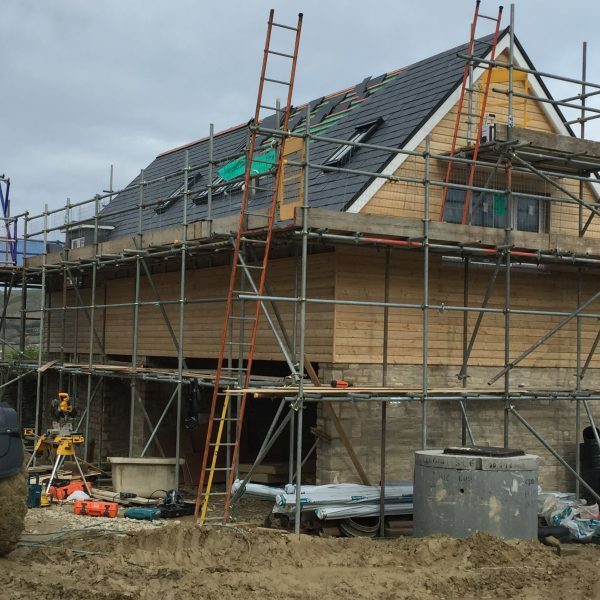 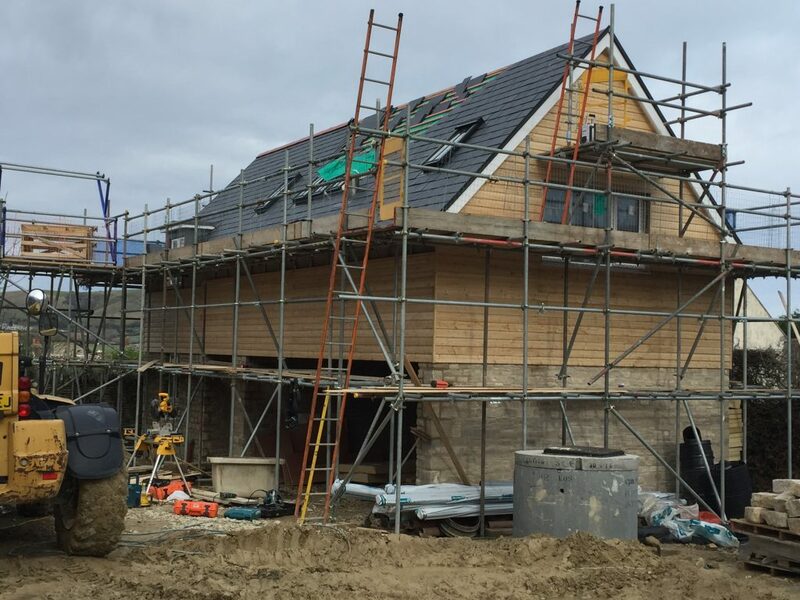 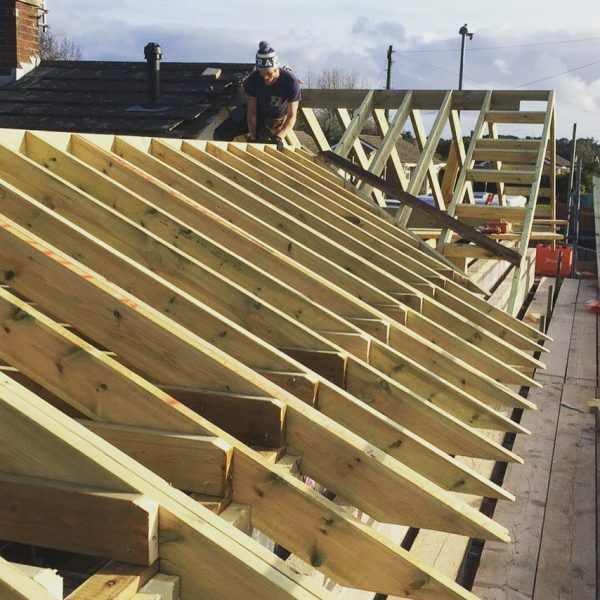 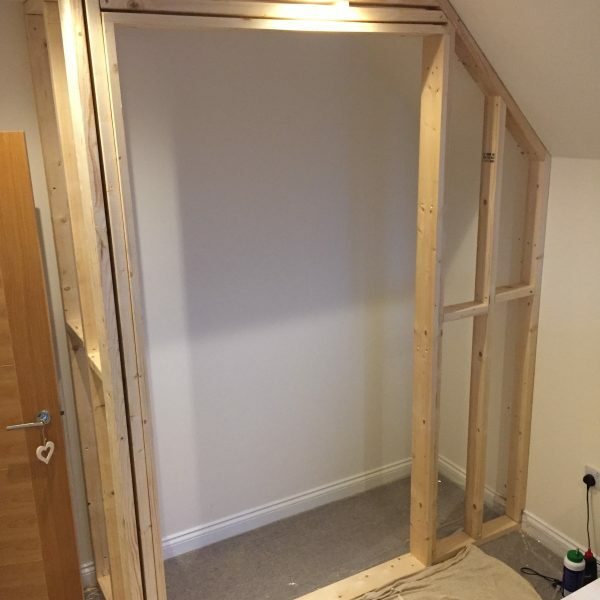 If you’re looking for help with any major structural work, look no further than Burrwood Carpentry. 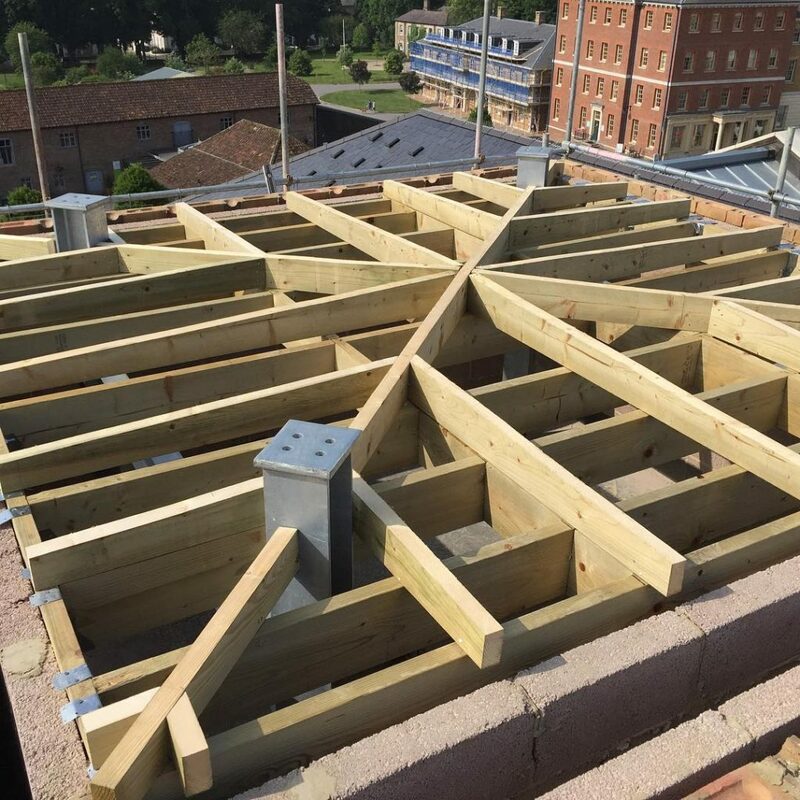 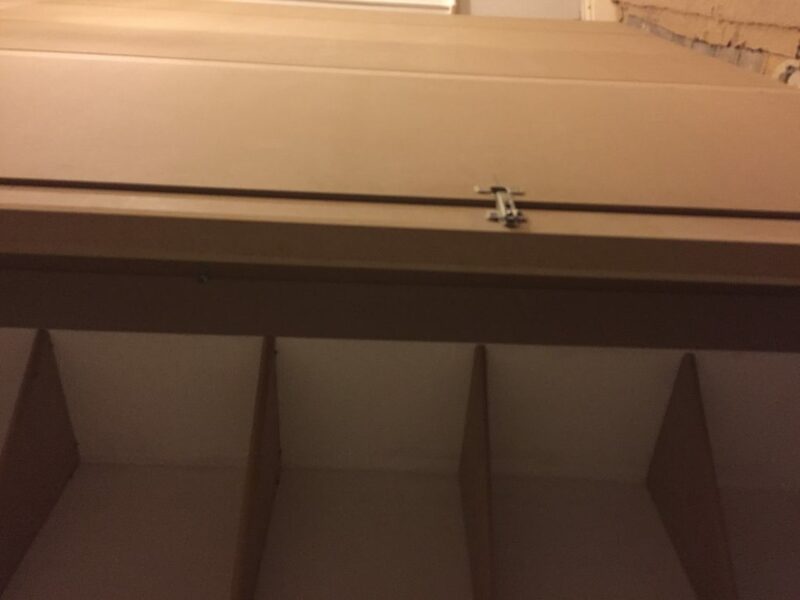 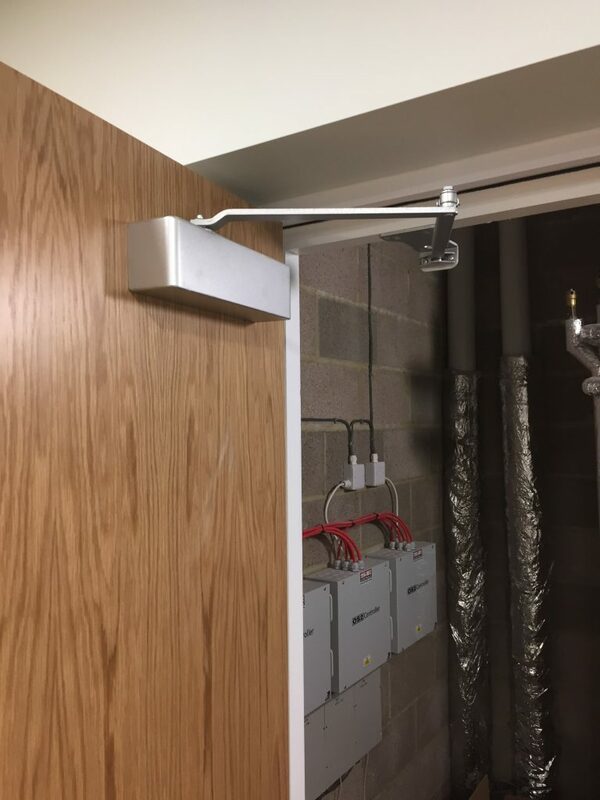 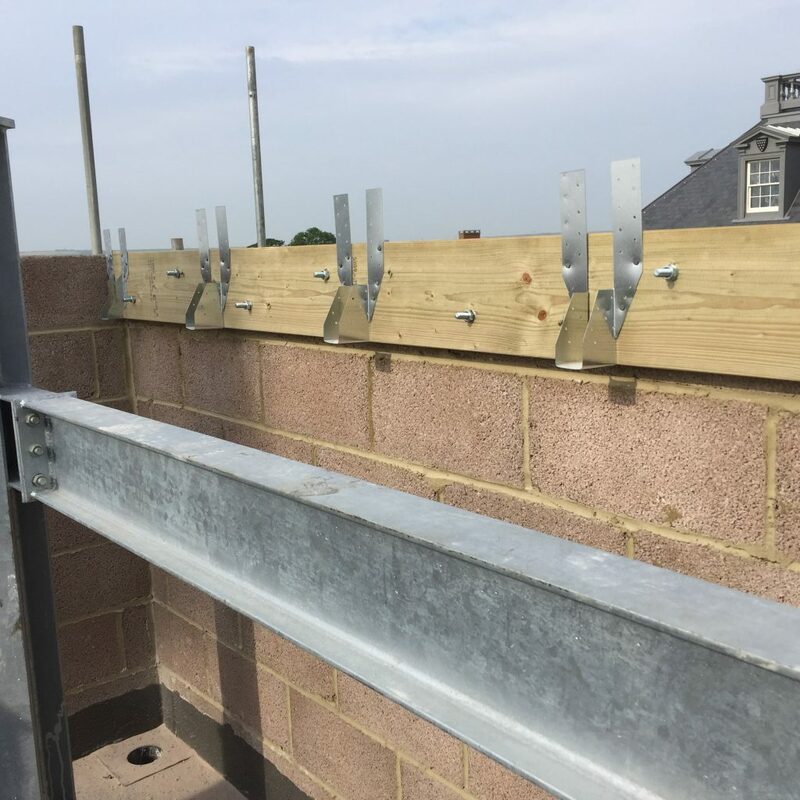 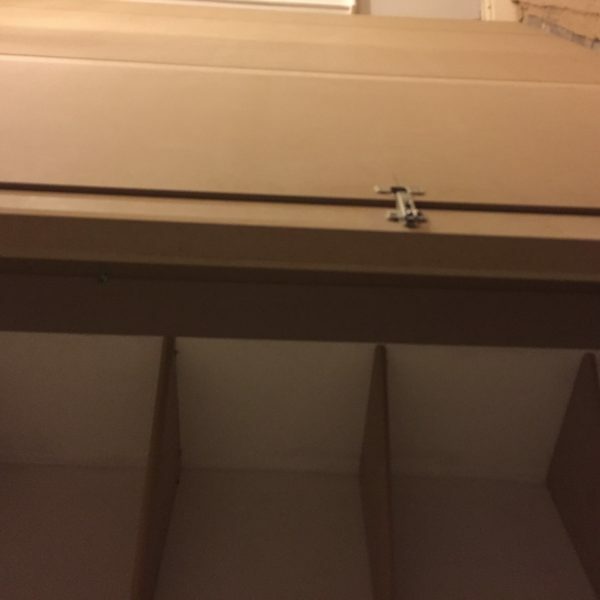 From roof struts and door frames to floor joists and wall studding, nothing is beyond our capabilities. 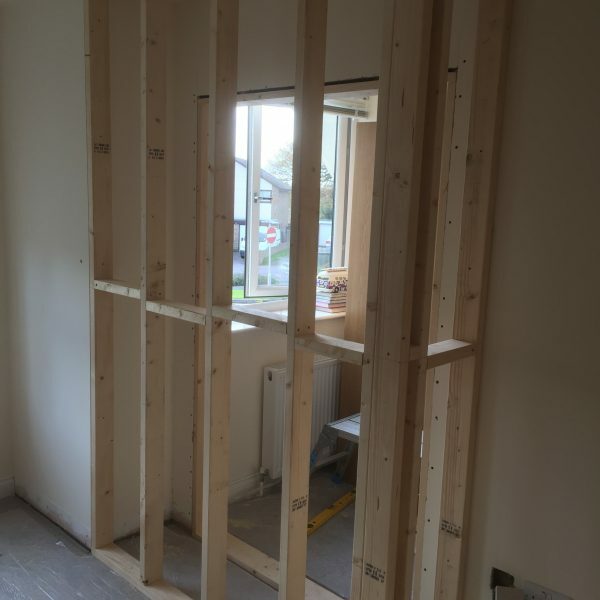 First fix carpentry is usually completed before any plastering work. 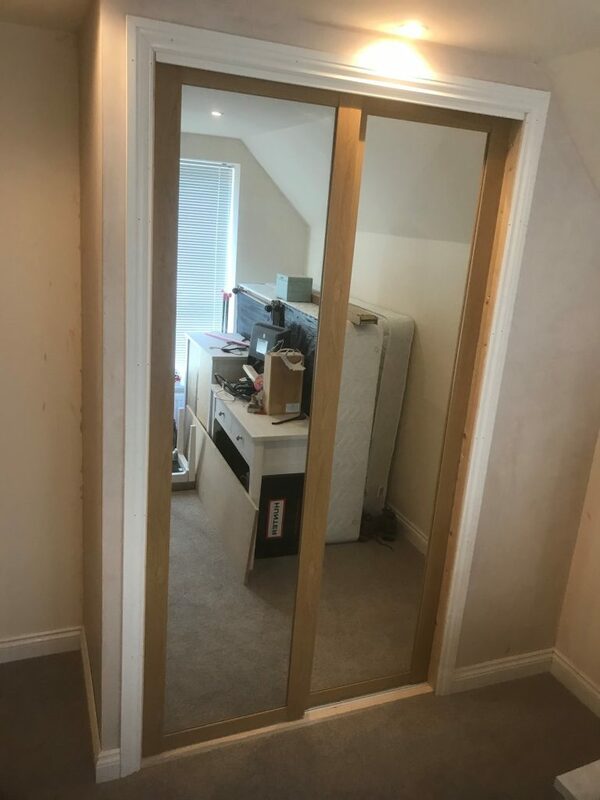 As such, we work hard to meet your schedule to avoid any delays. 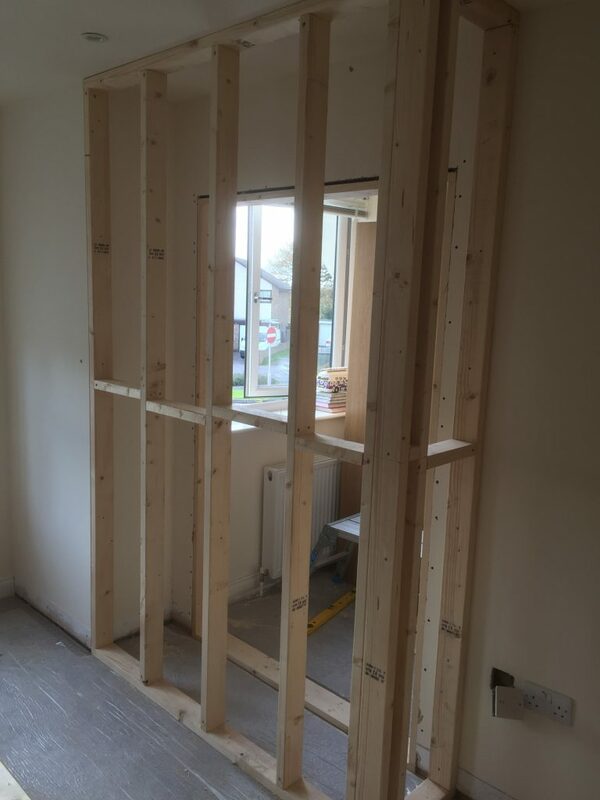 When you choose our team, you can be confident that all first fix carpentry will be completed to a high standard. 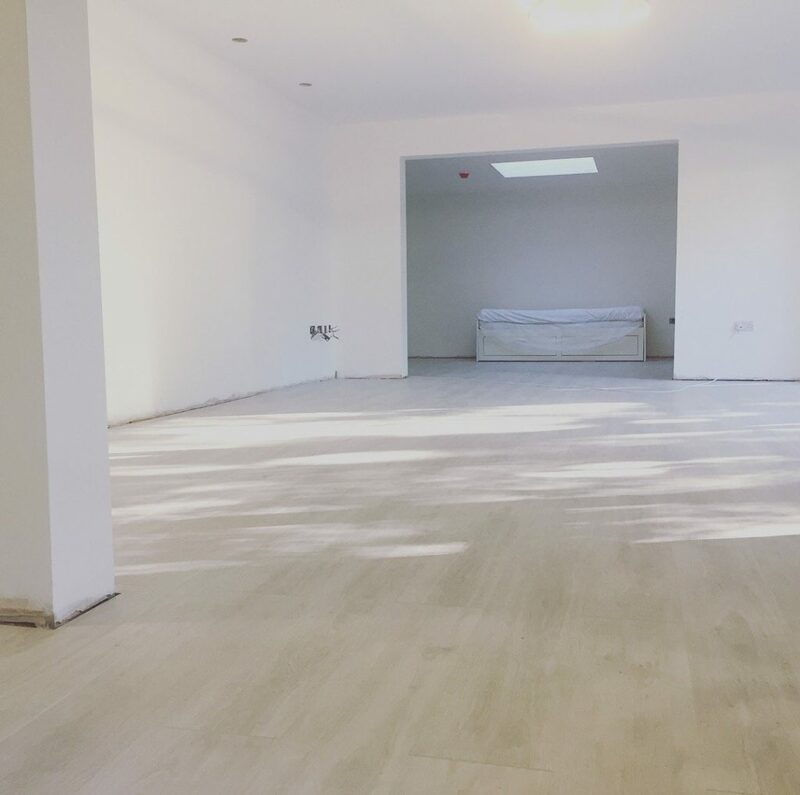 Once any plastering, electrical work and plumbing has been completed, our team will move onto the next stage – second fix carpentry. 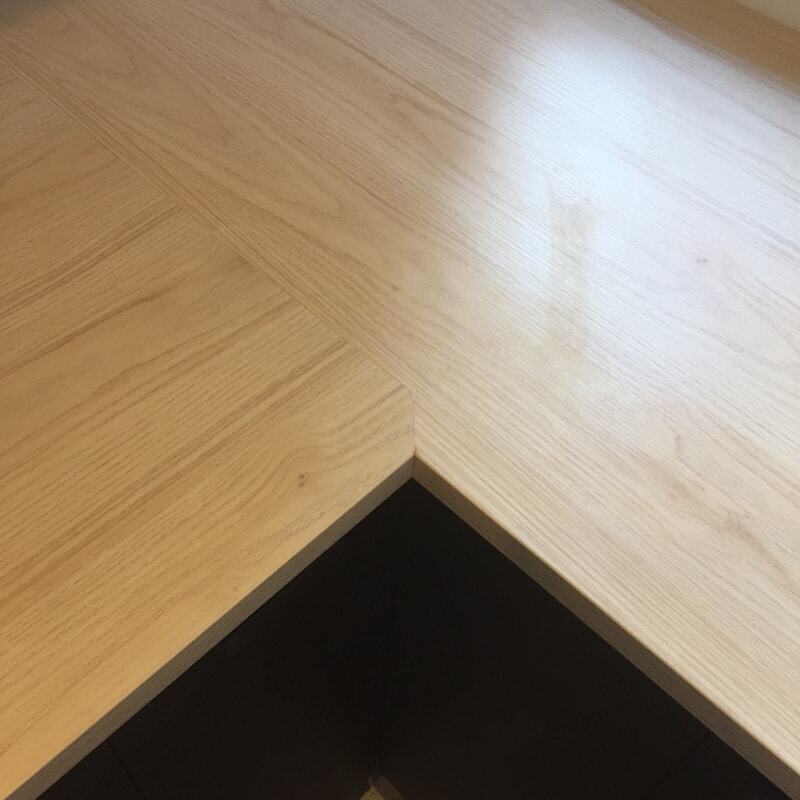 Some carpenters only do first or second fix but not Burrwood Carpentry. 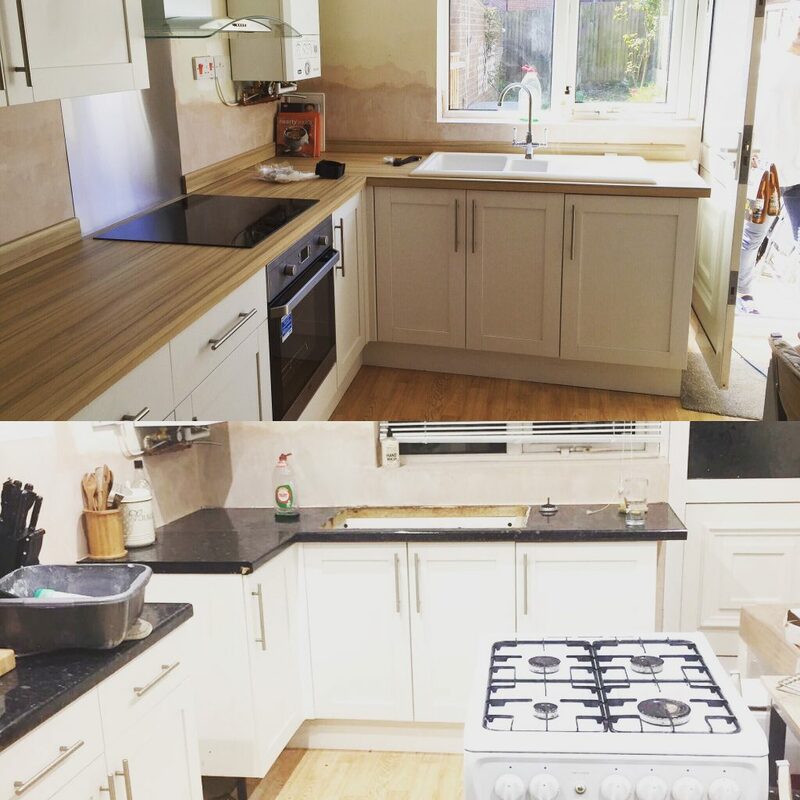 We specialise in complete home property transformations that are sure to impress. 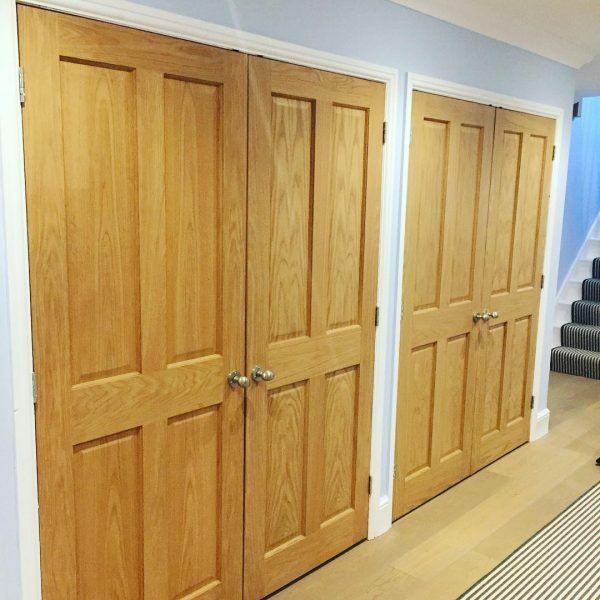 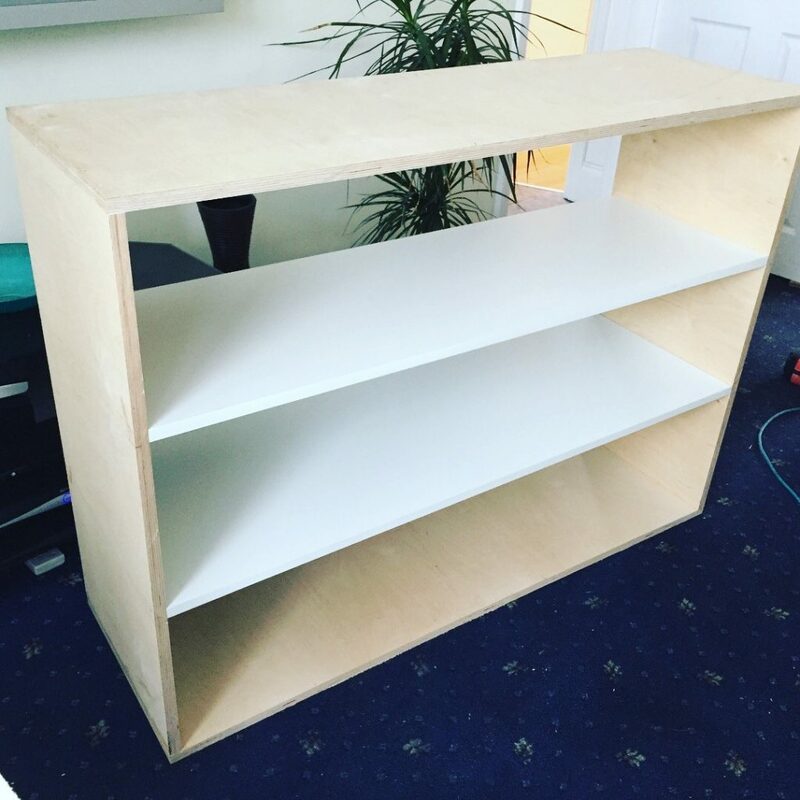 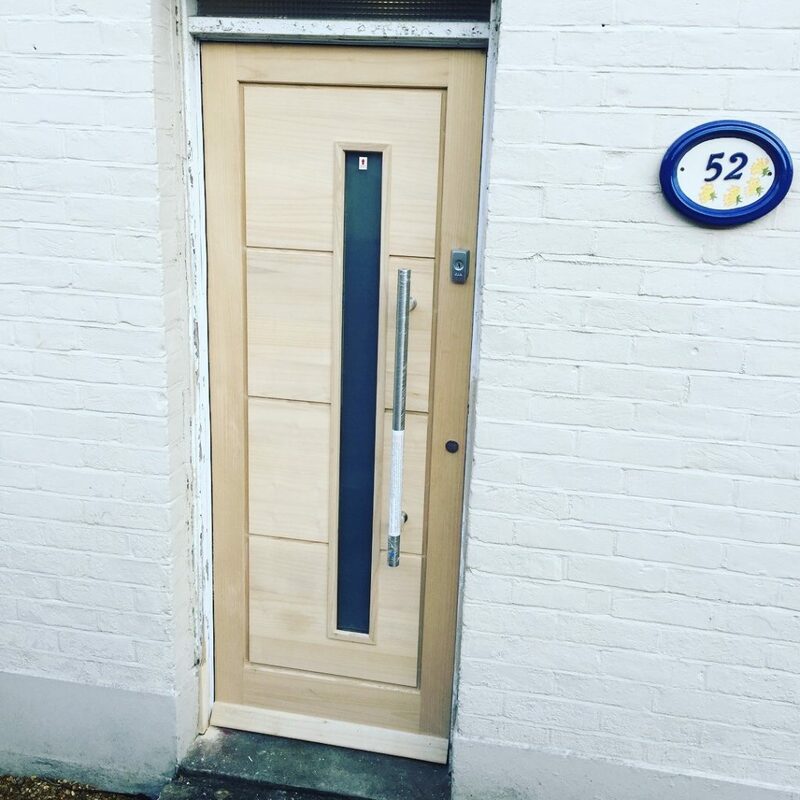 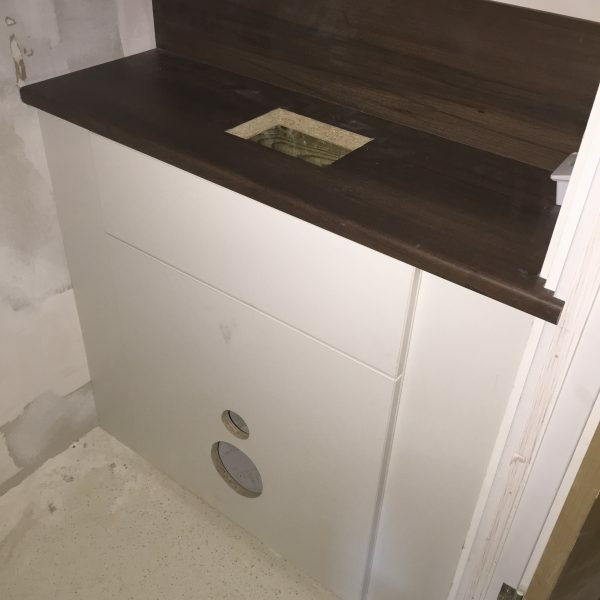 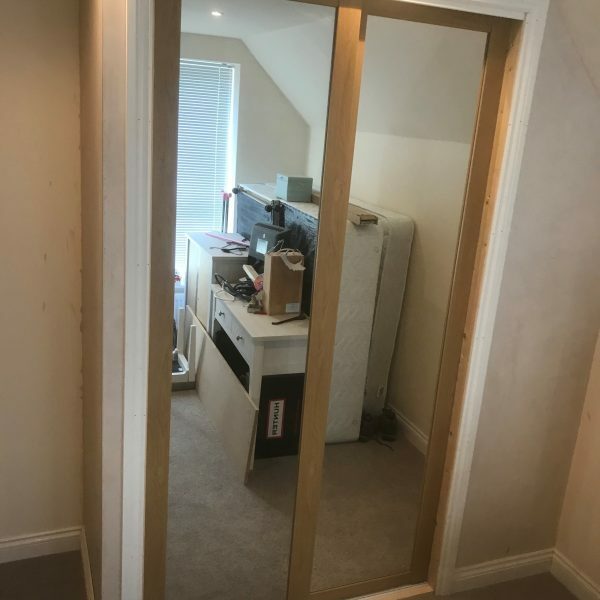 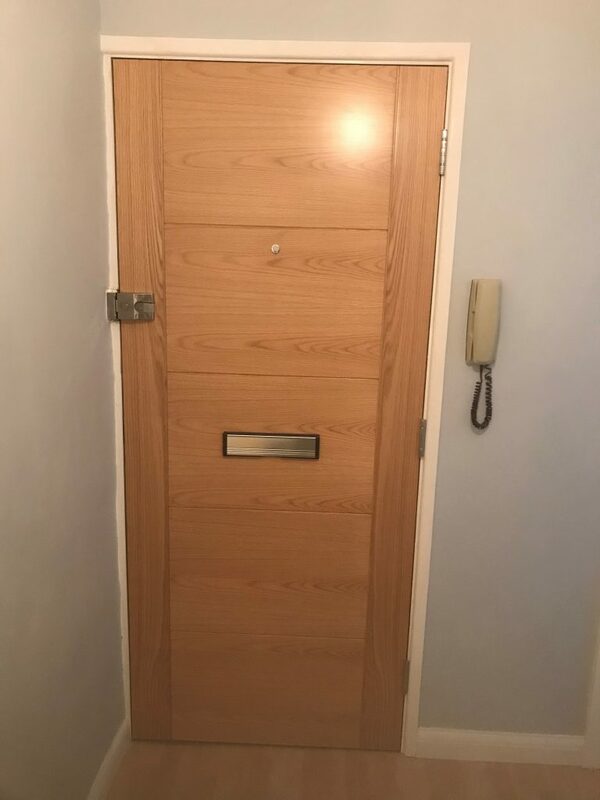 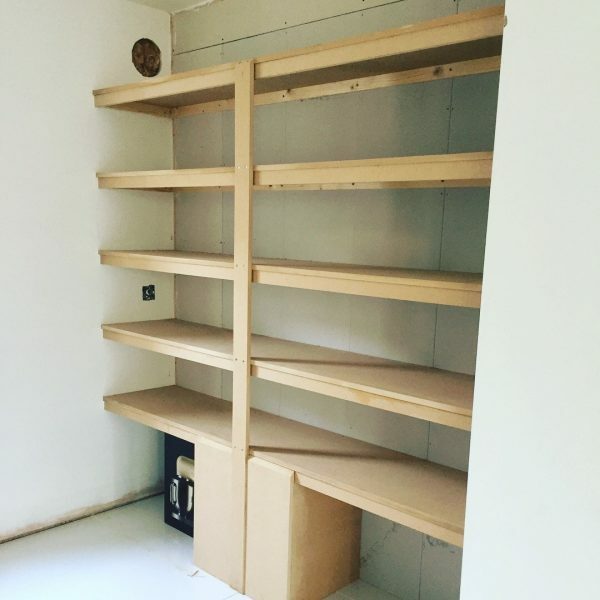 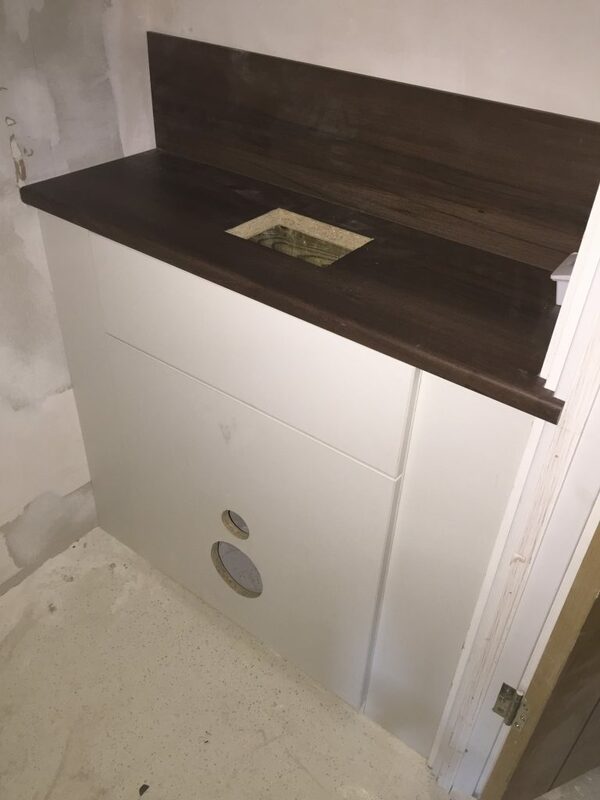 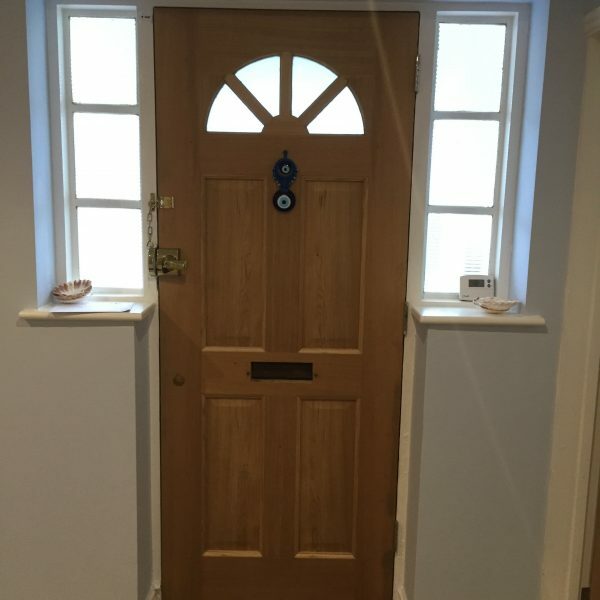 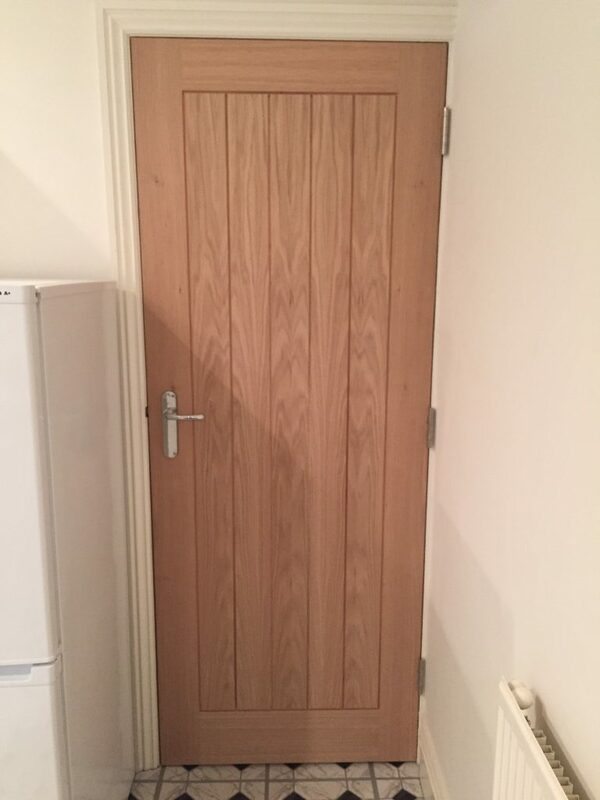 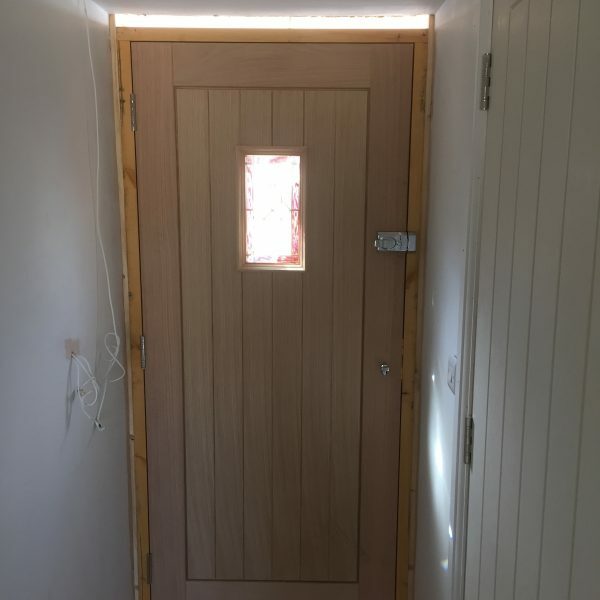 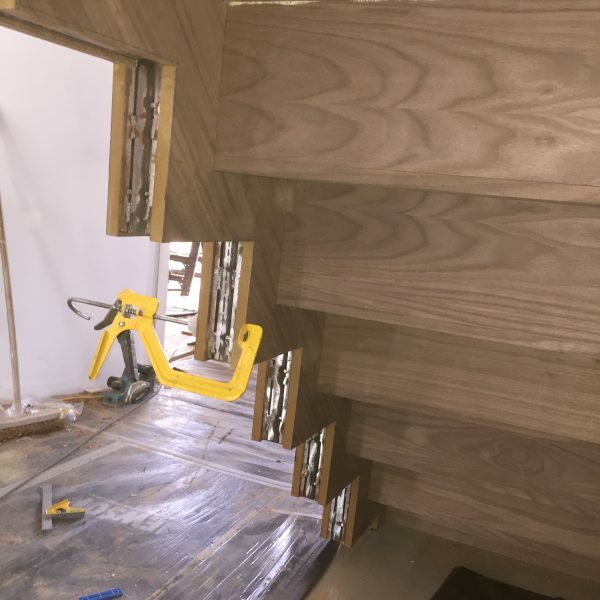 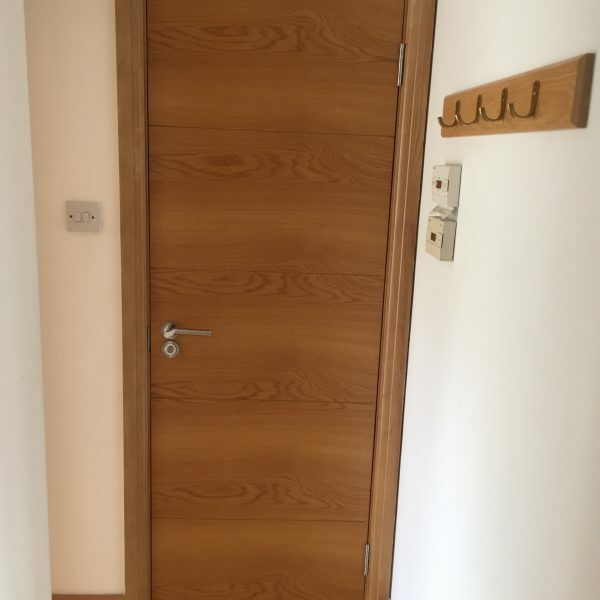 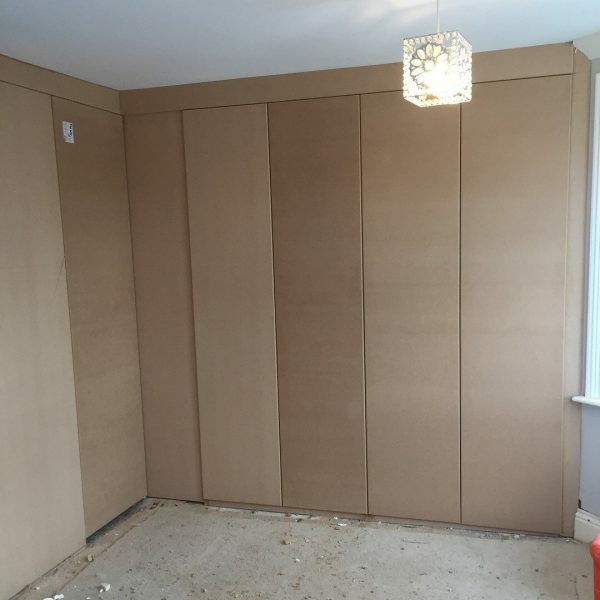 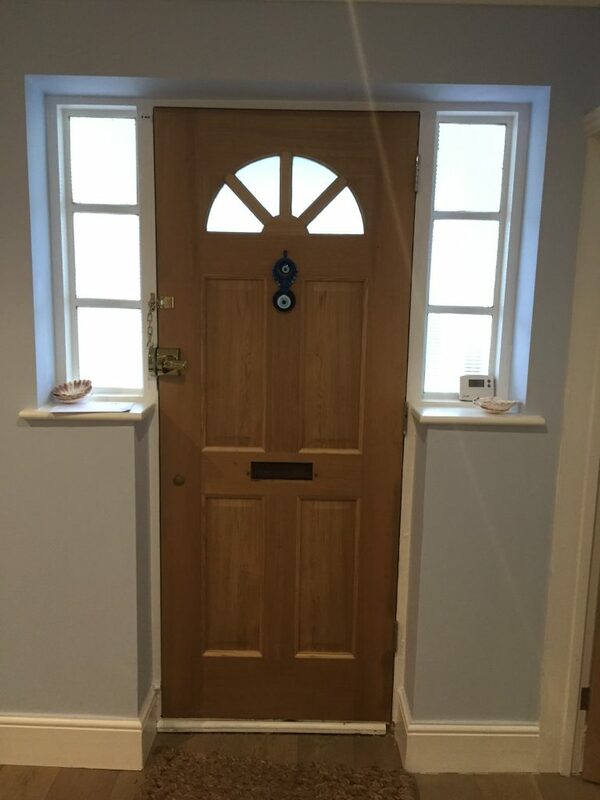 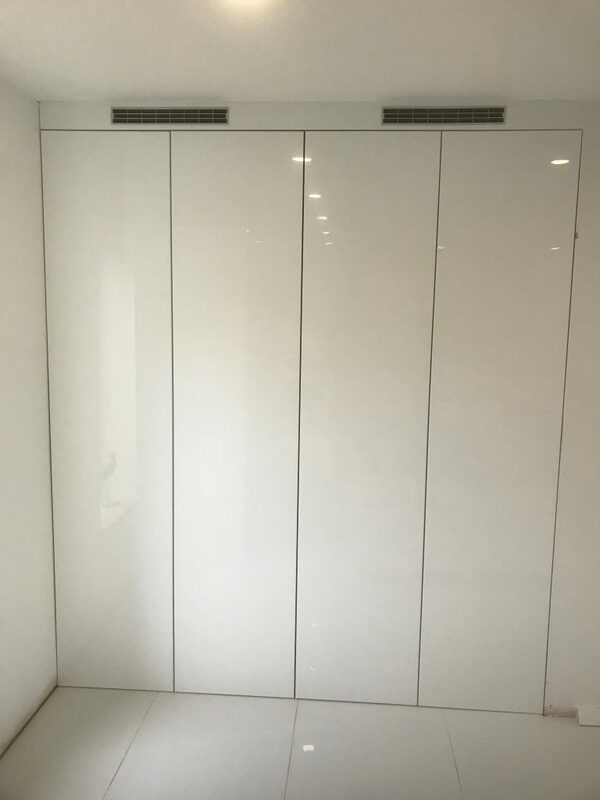 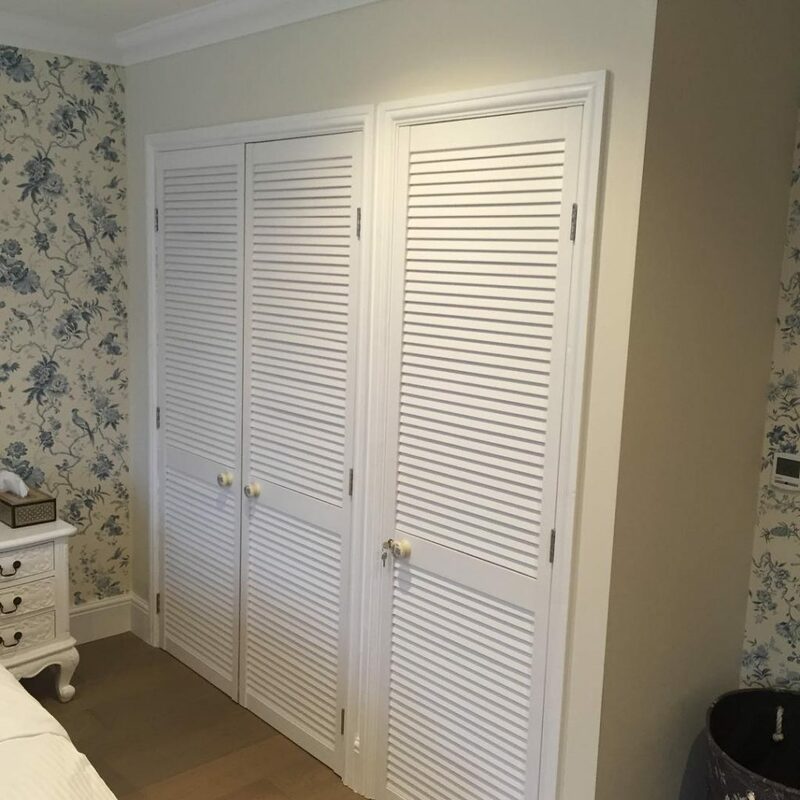 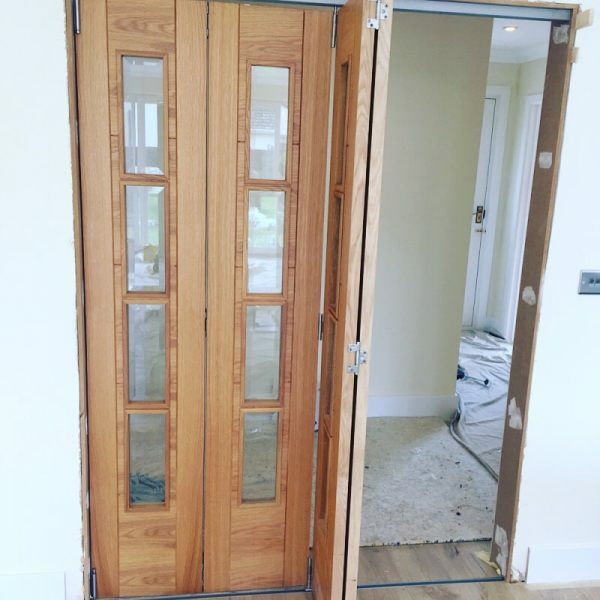 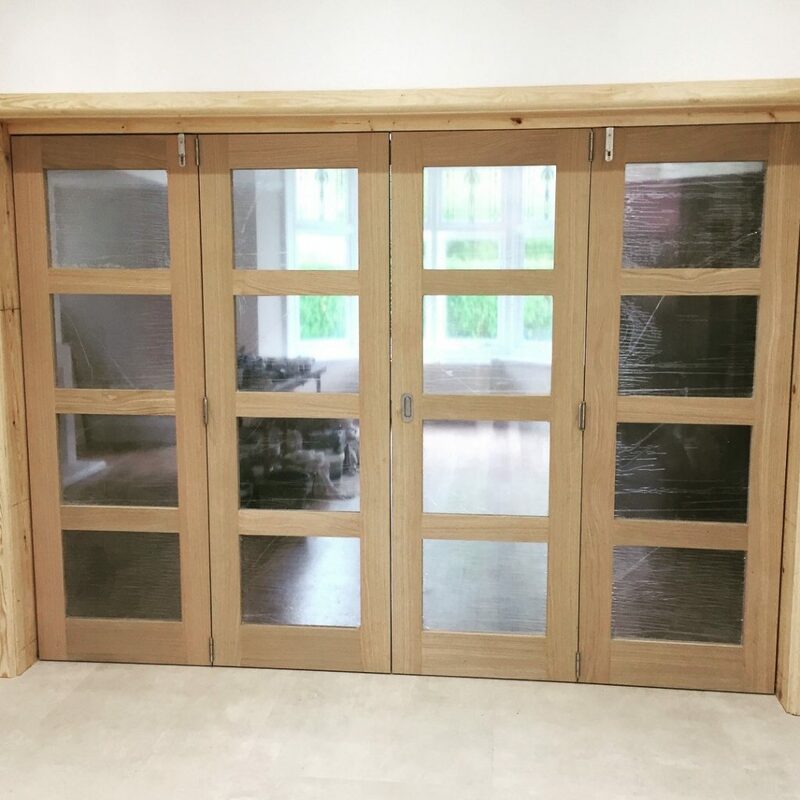 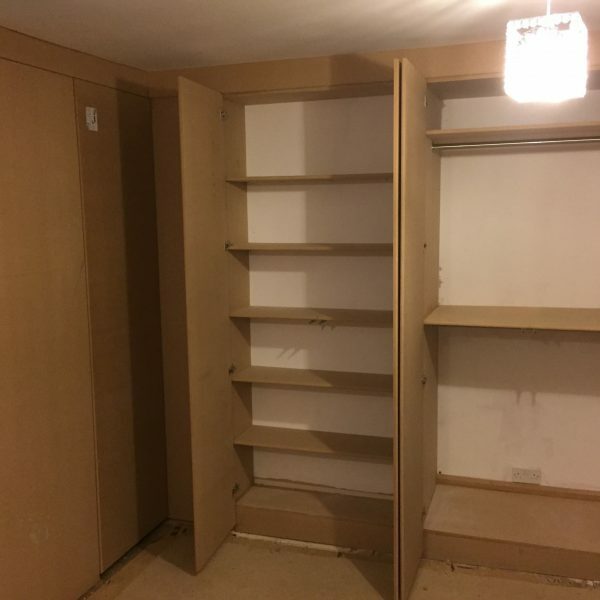 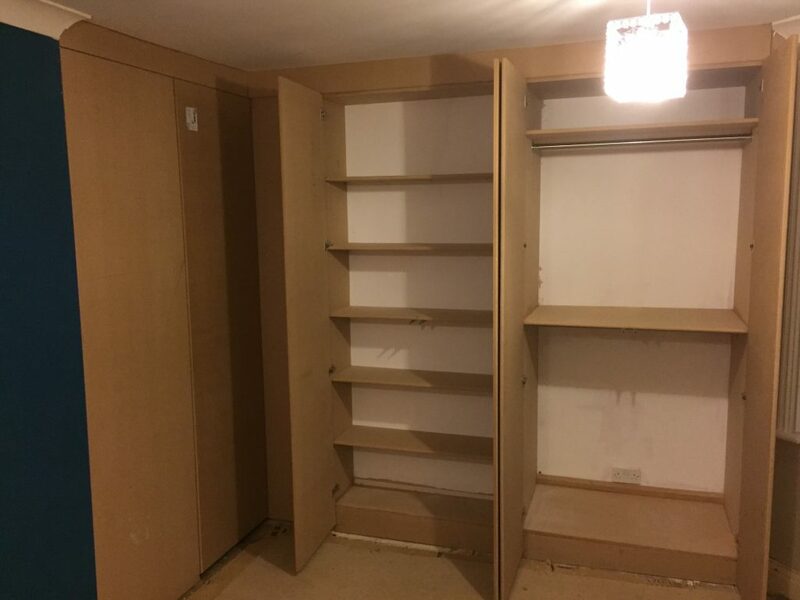 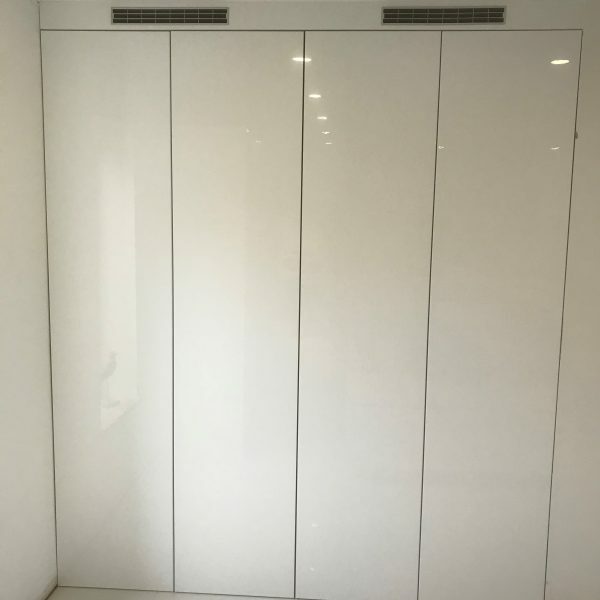 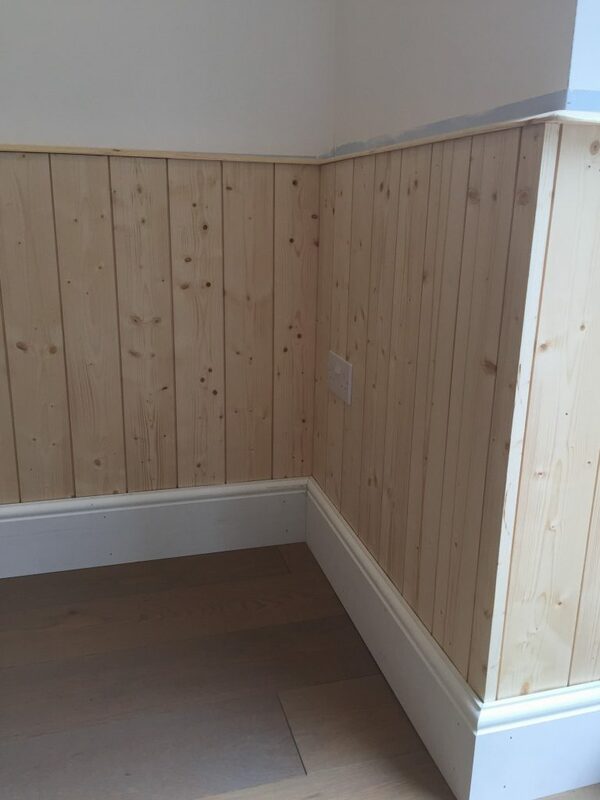 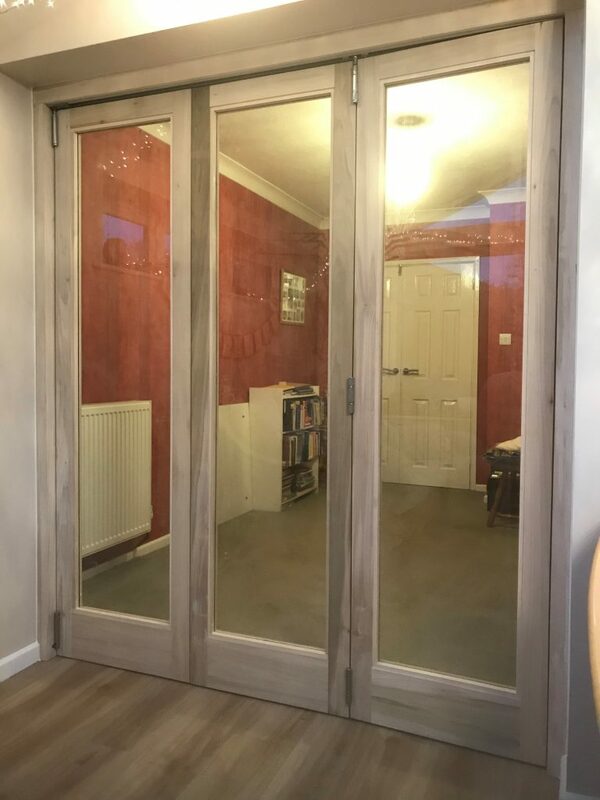 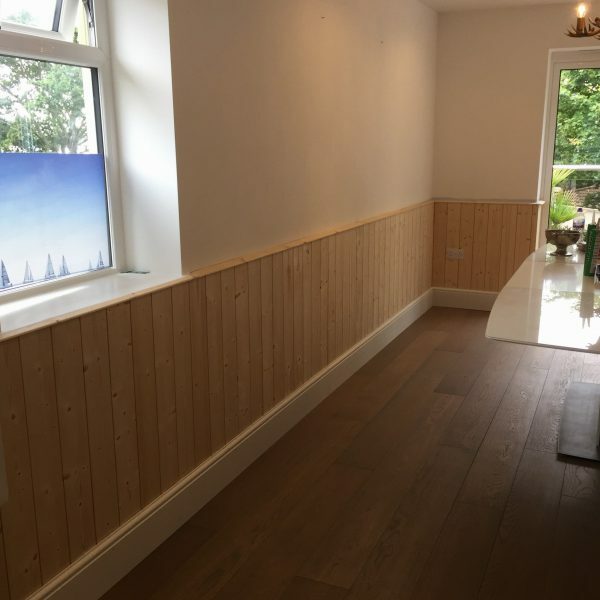 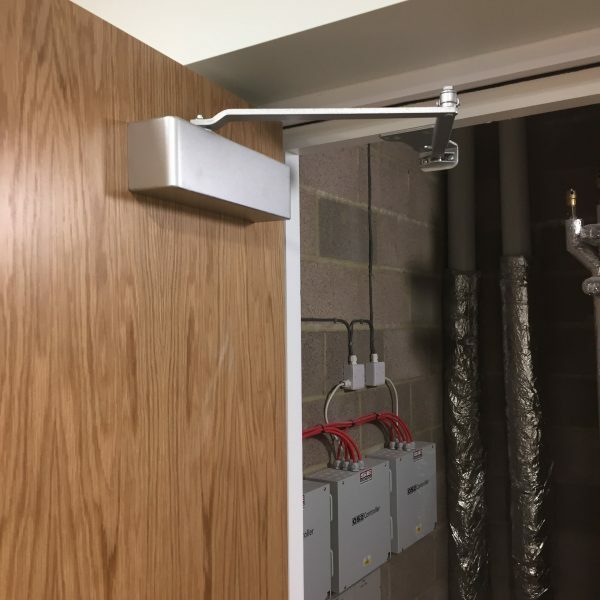 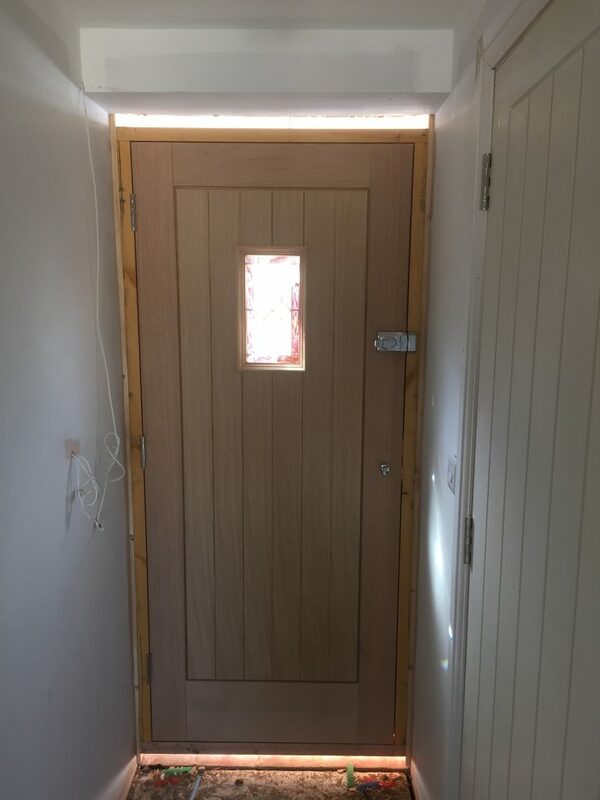 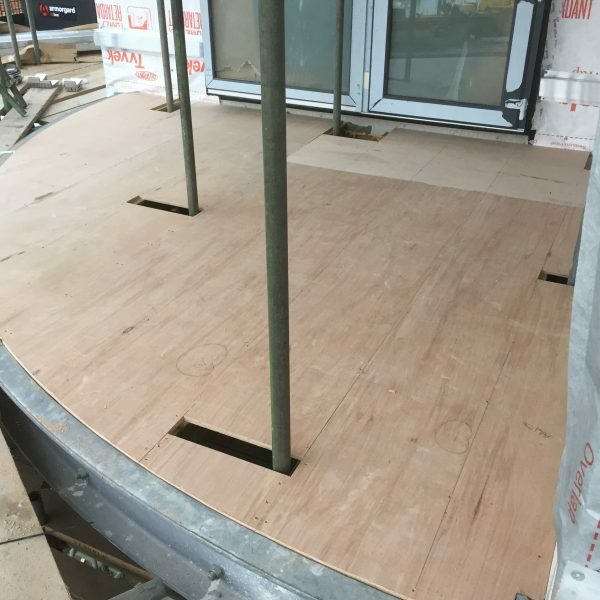 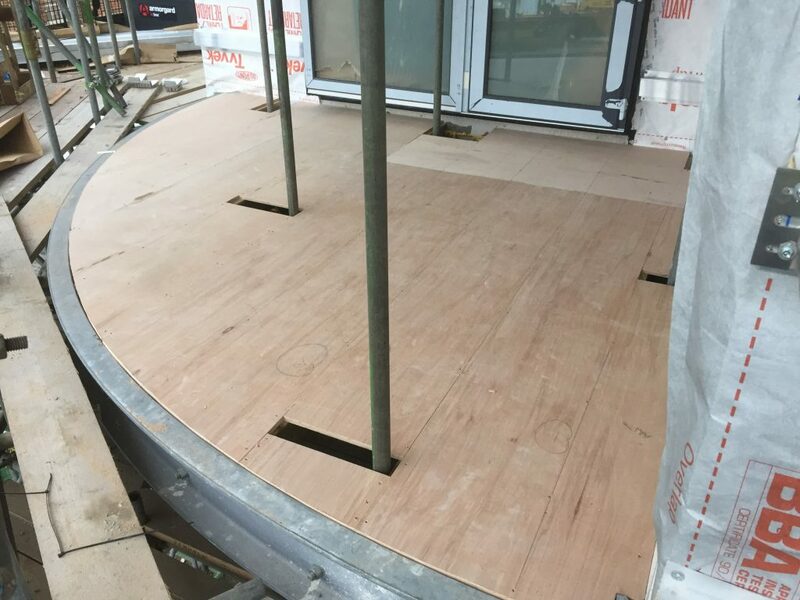 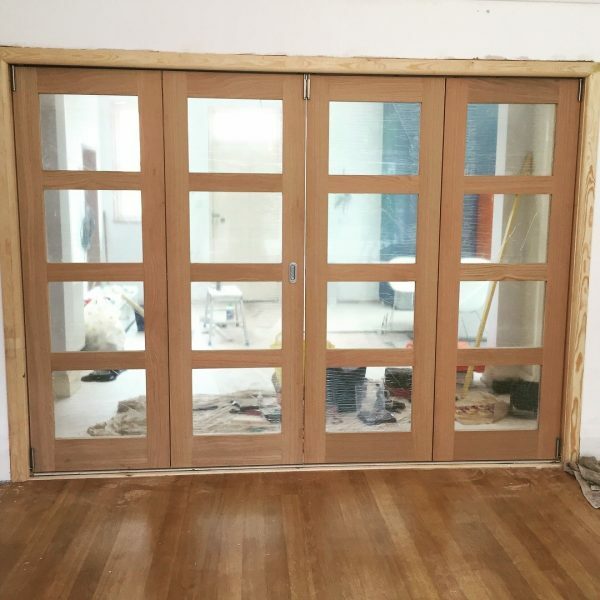 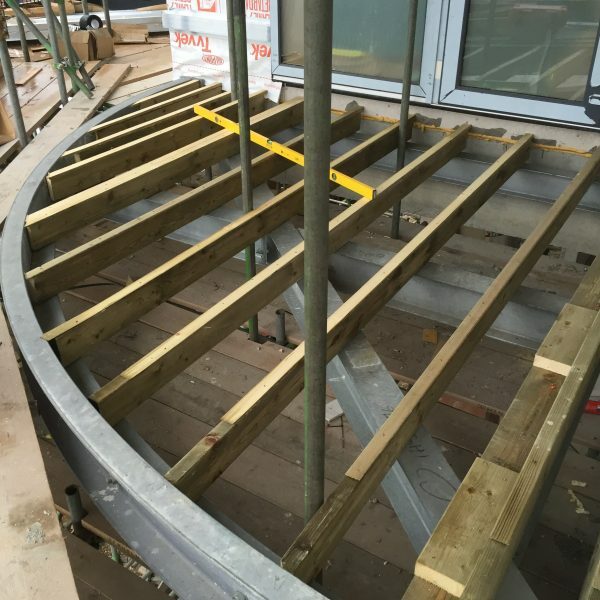 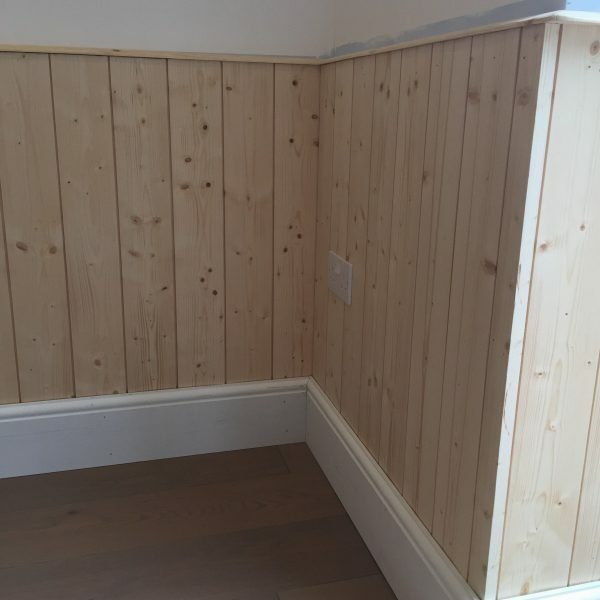 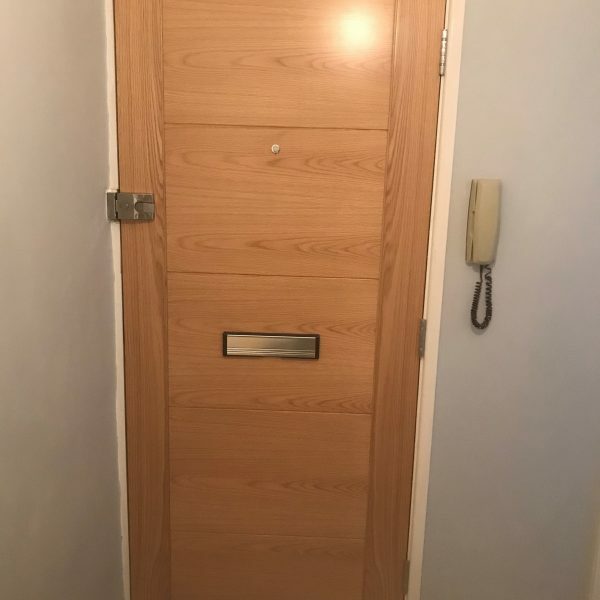 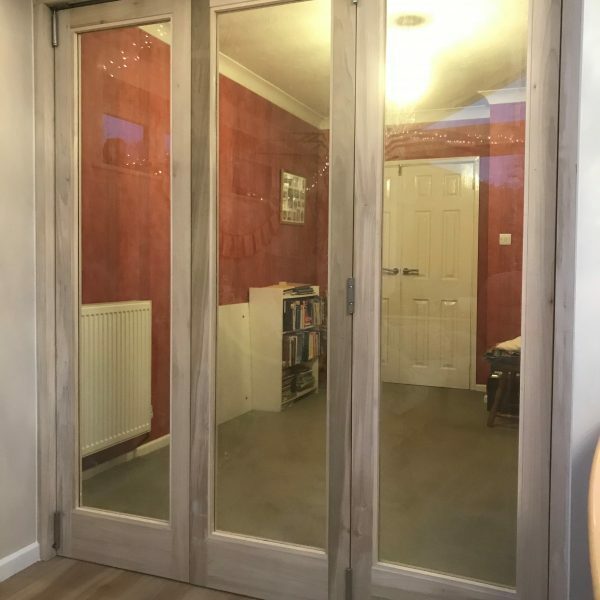 Our skilled carpenters provide many services in this regard including architraves, floor boards, skirting, door hanging and more. 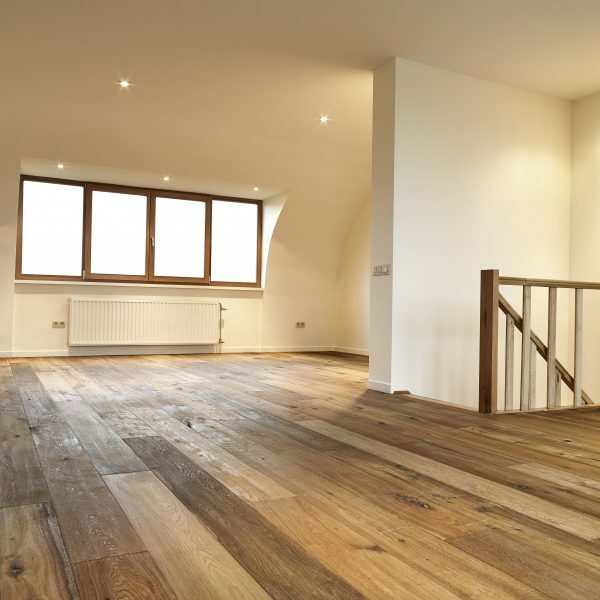 Make your home stand out from the rest when you choose quality wooden floors supplied and fitted by our company. 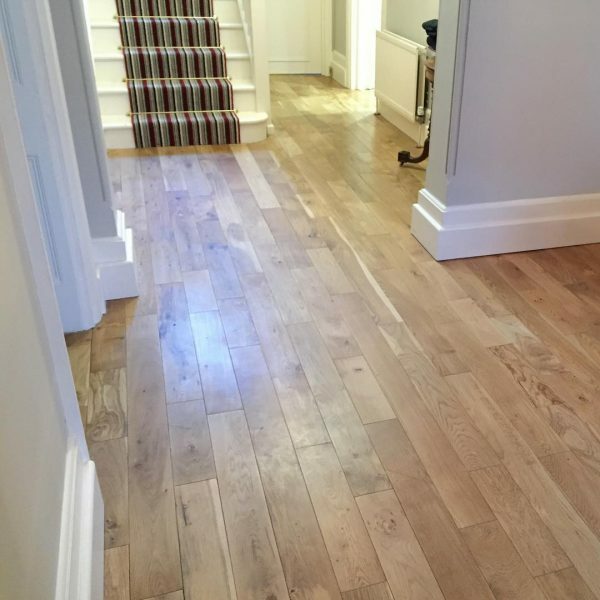 From polished oak to gorgeous maple, our flooring is made from high-quality materials. 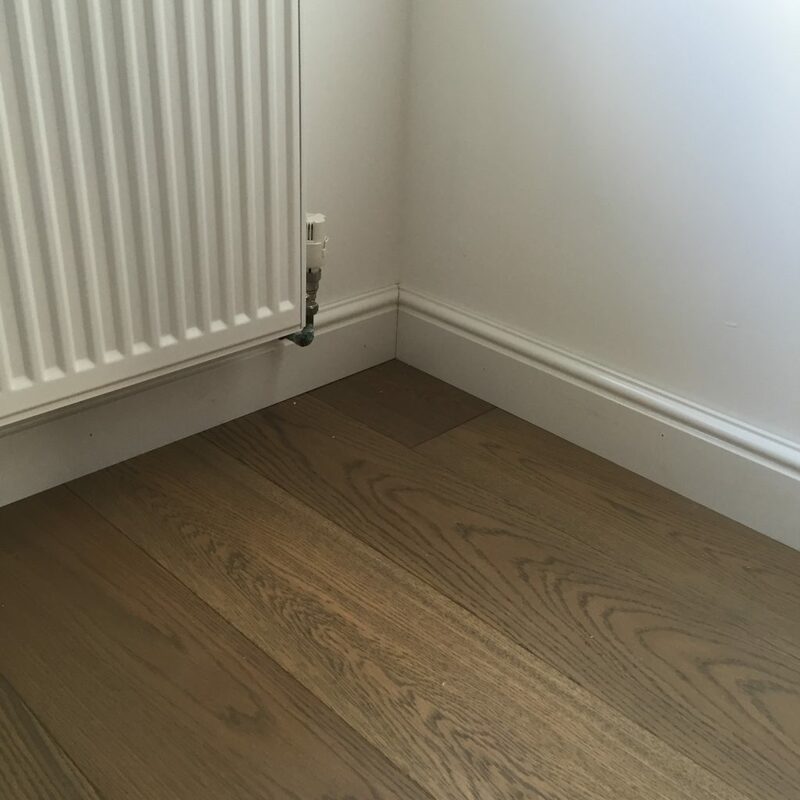 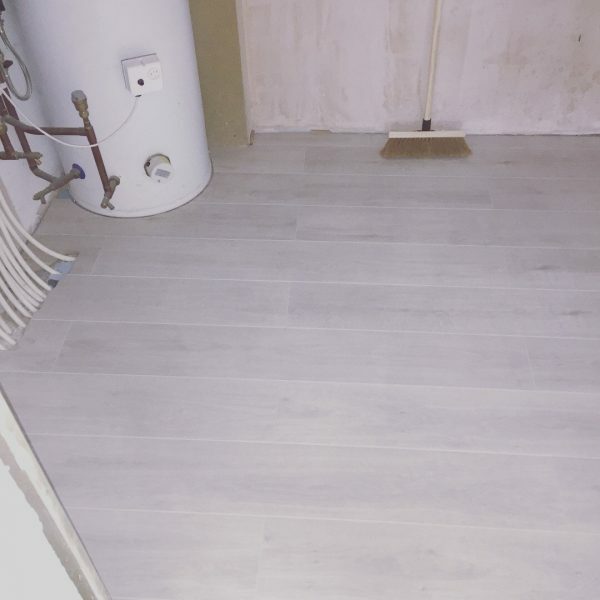 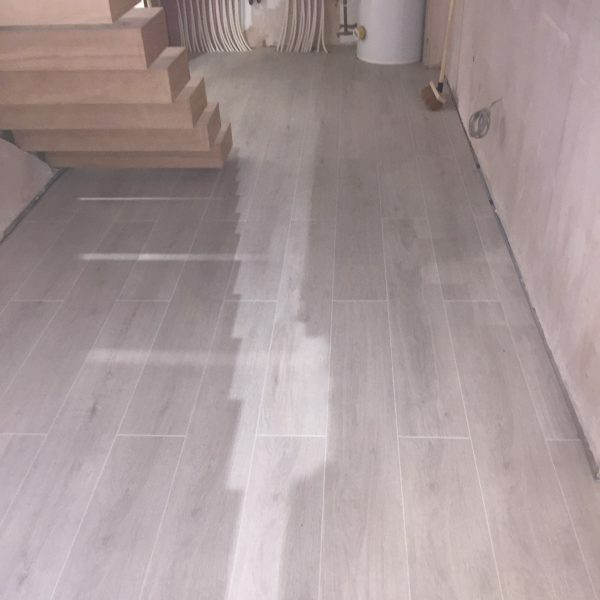 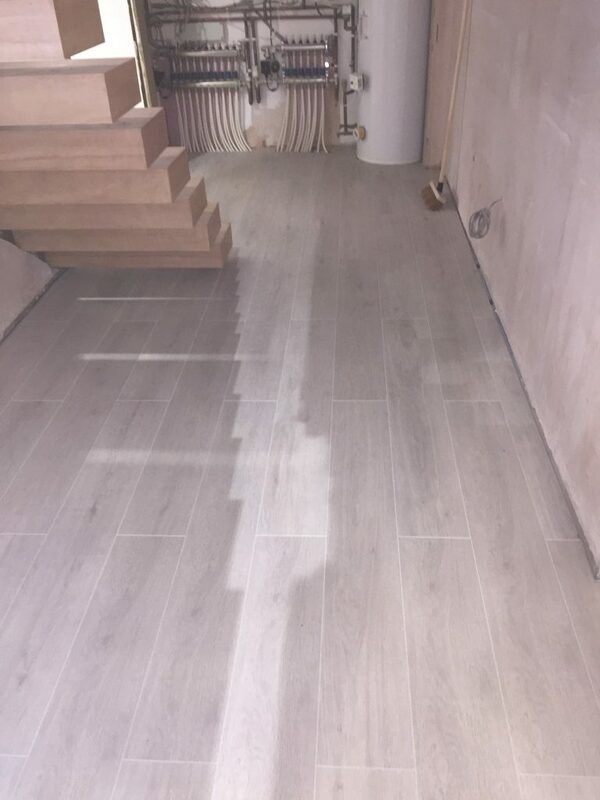 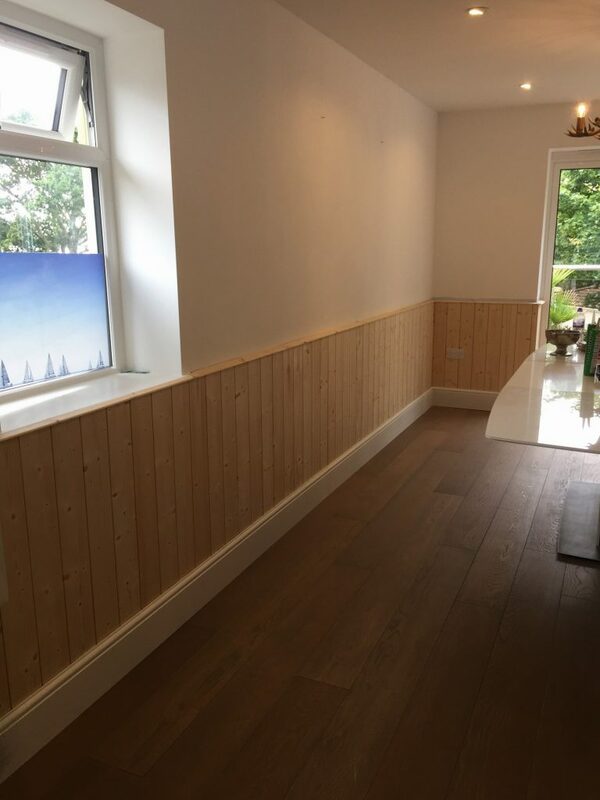 All of our wooden floors feature an engineered construction so they are guaranteed to last regardless of where they are placed. 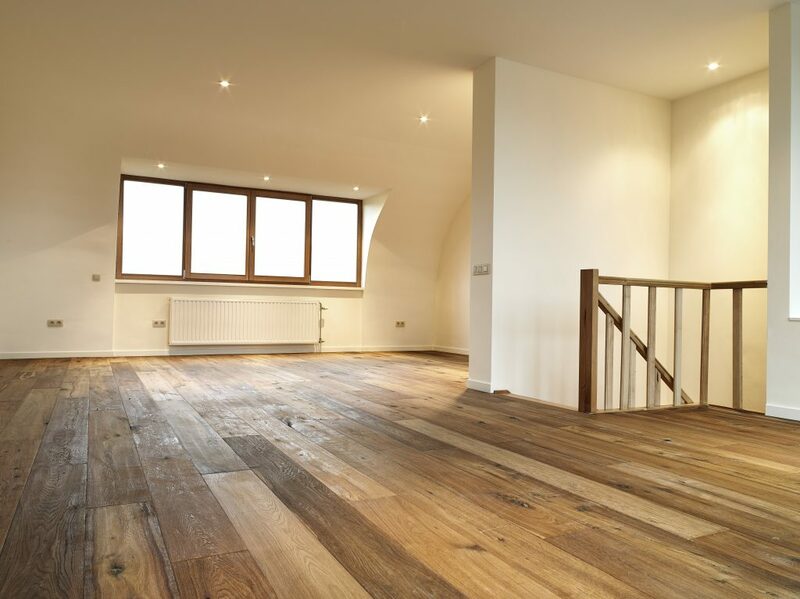 Every home is different and with an extensive range of styles and colours to choose from, there are wooden floors to suit all interiors. 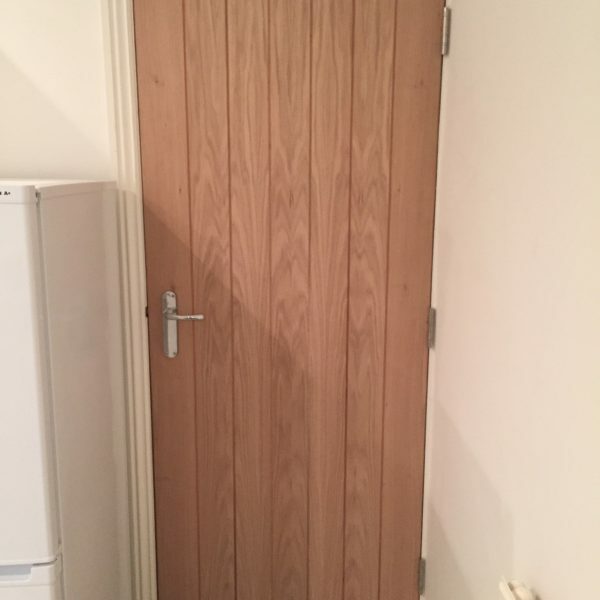 We provide FREE samples and the most competitive prices around. 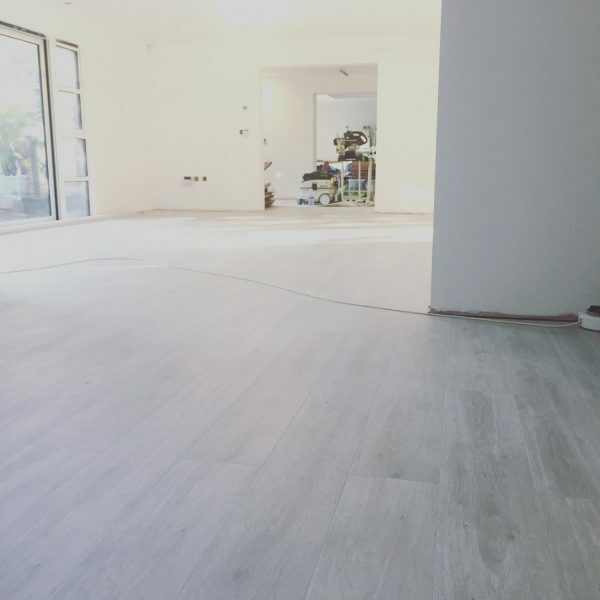 Plus, with our quick supply and installation service, your wooden floors will be installed in no time. 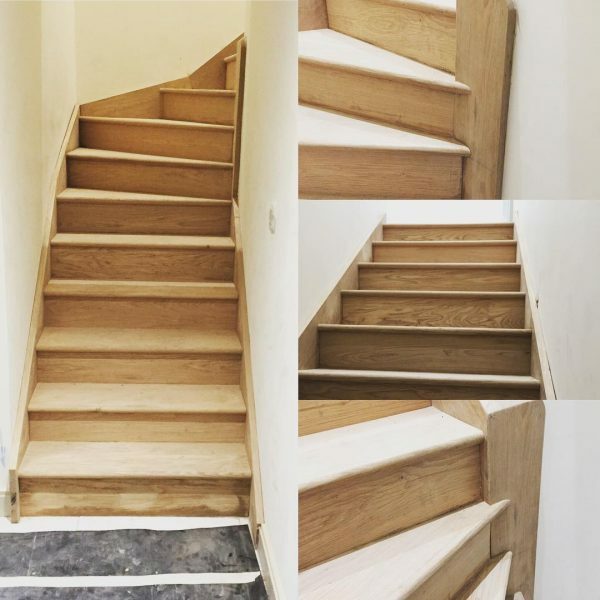 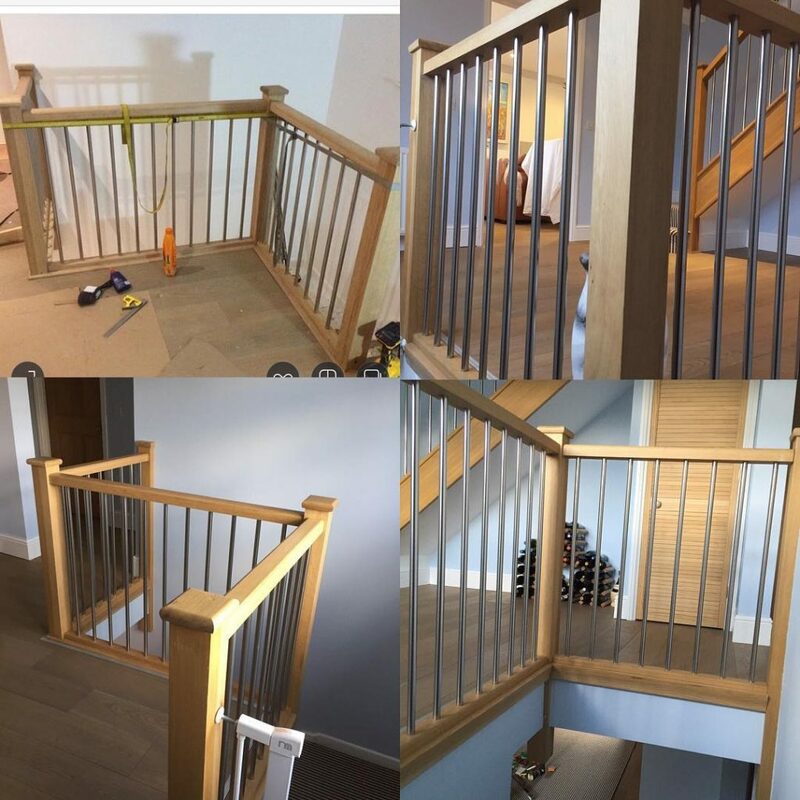 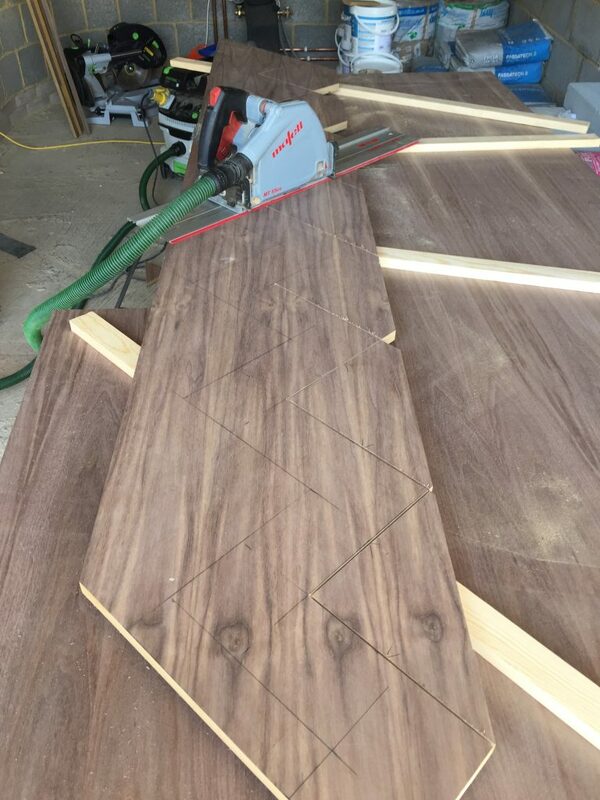 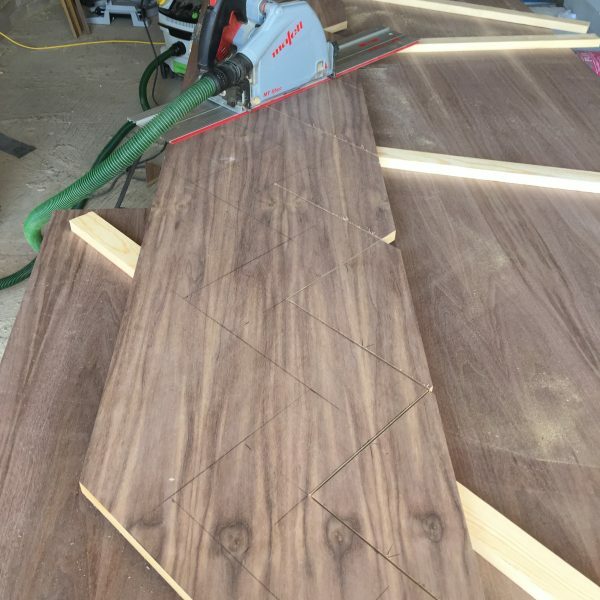 When it comes to meeting the challenge of creating the perfect staircase for your home, you need the best carpenters around. 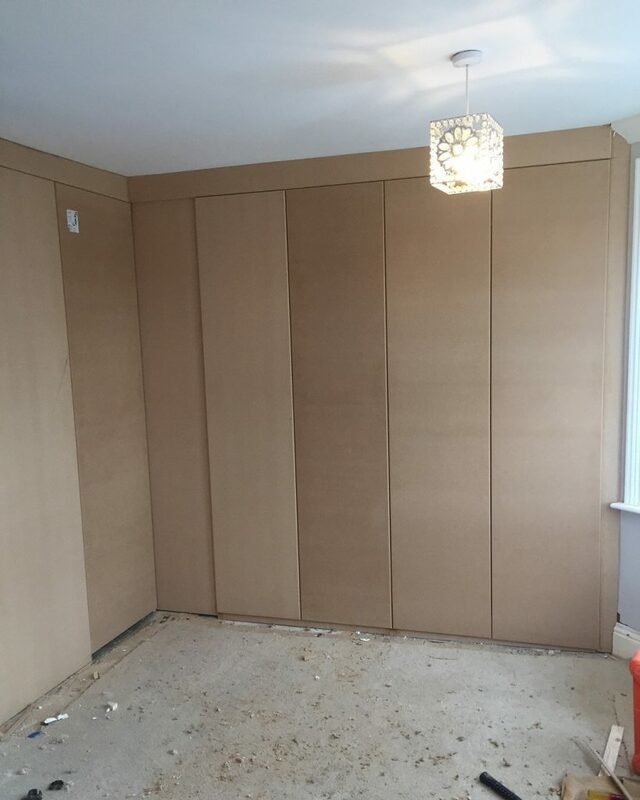 Our team are proficient in devising innovative solutions for scenarios where space is a factor. 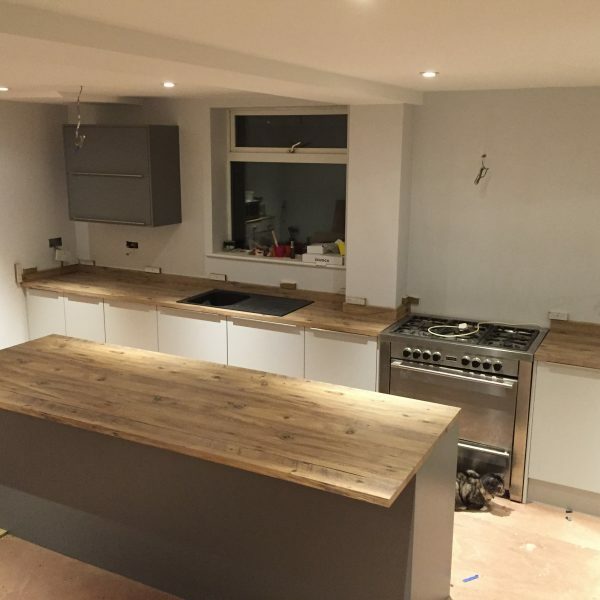 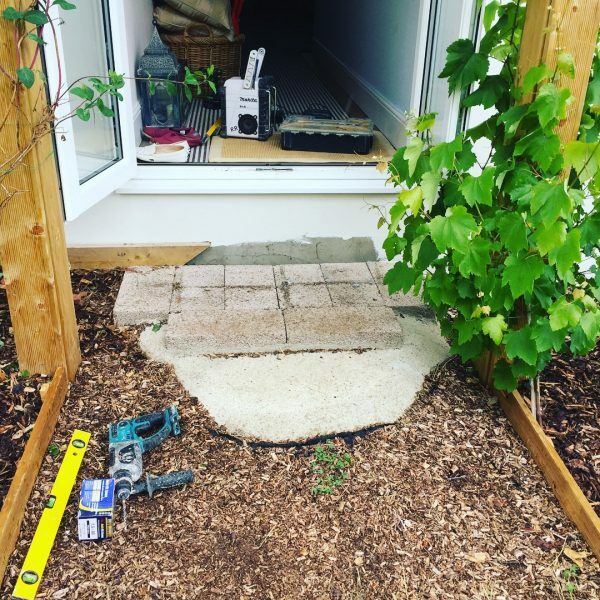 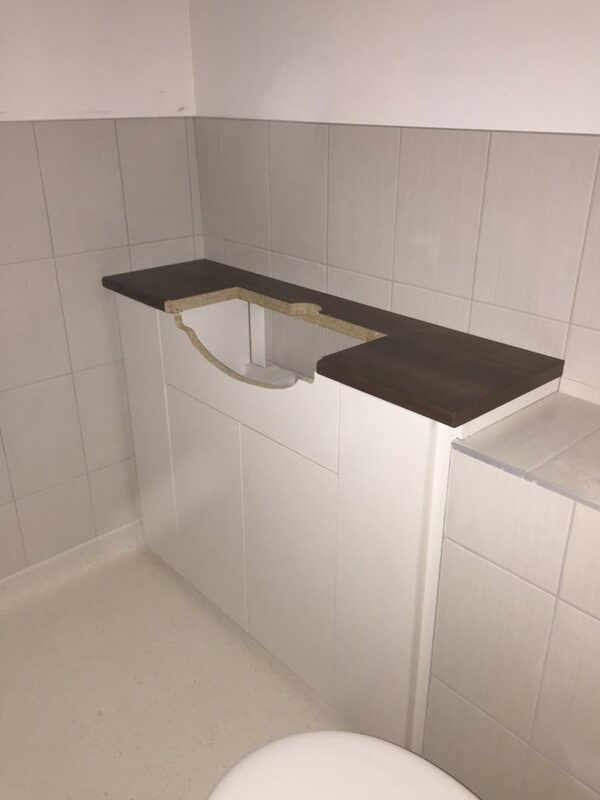 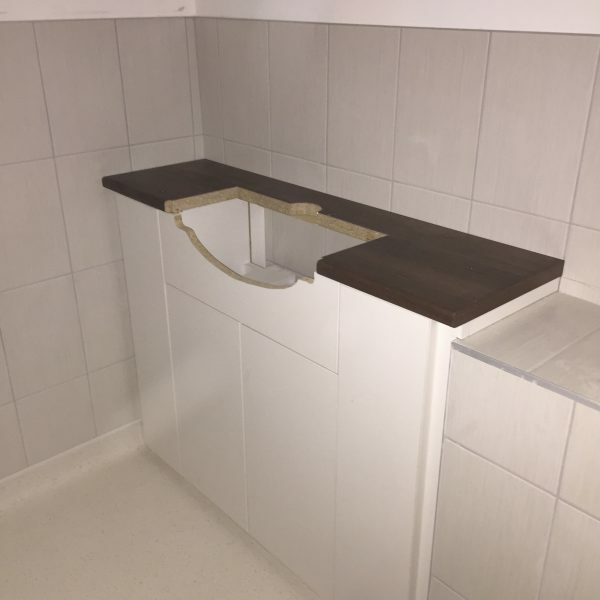 We will survey the area and discuss your requirements before supplying you with a full written quotation. 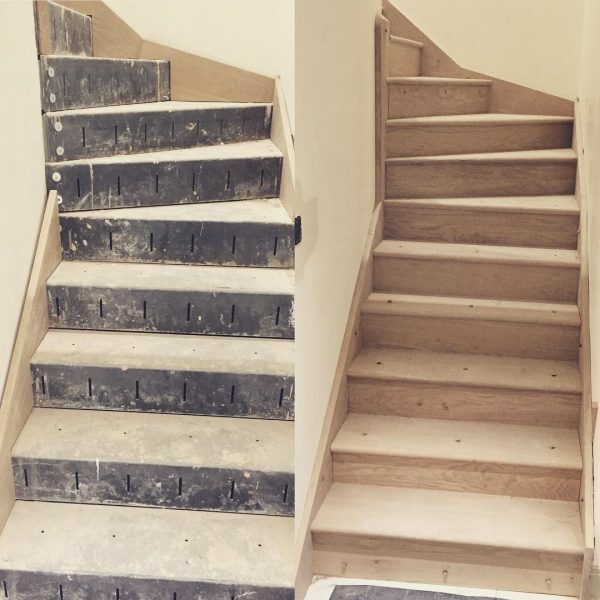 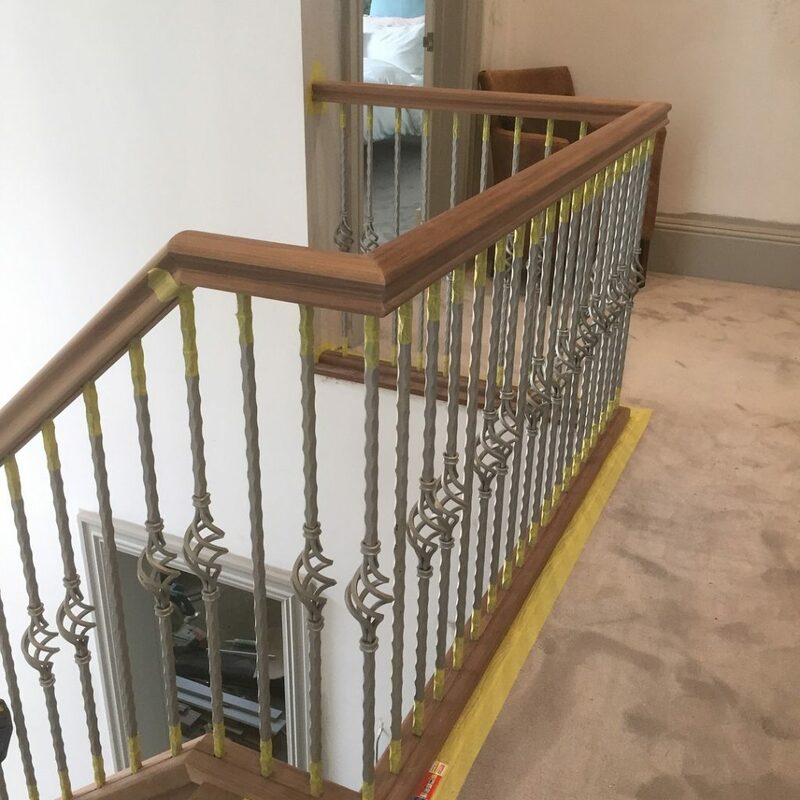 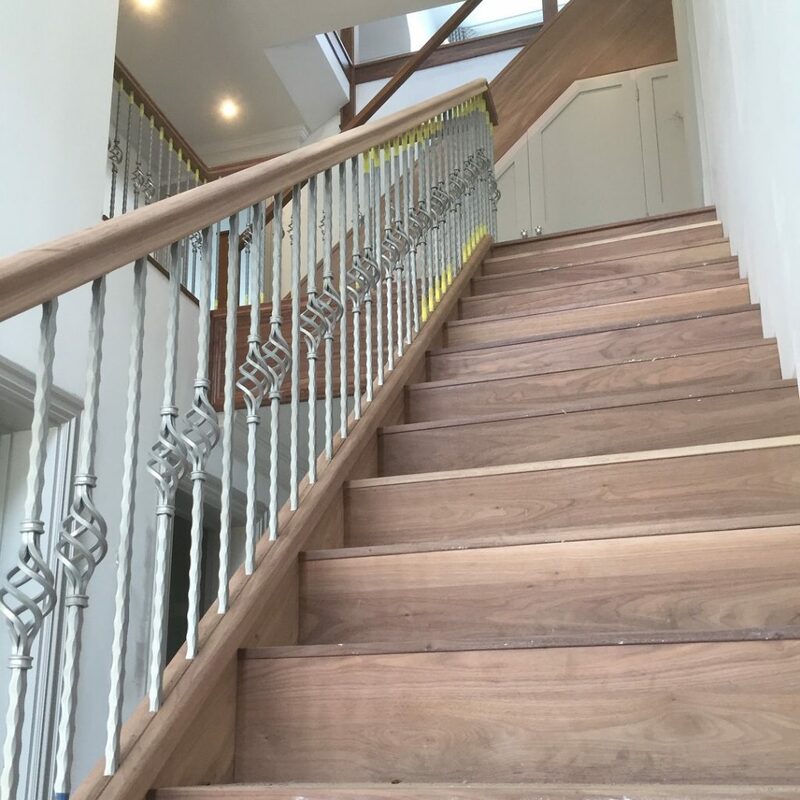 Engineered to last, our staircases will remain a permanent fixture of your home for many years to come. 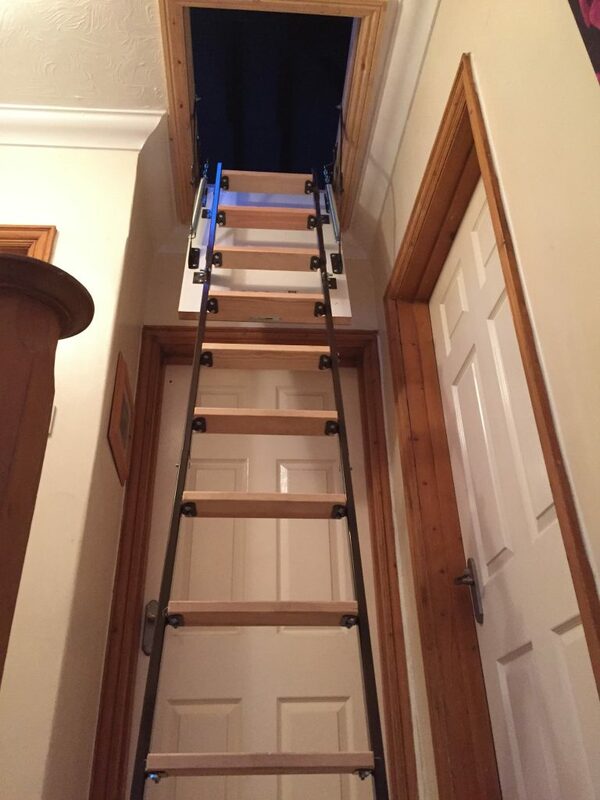 Whether you desire something simple or ornate, make Burrwood Carpentry your first choice for a new staircase. 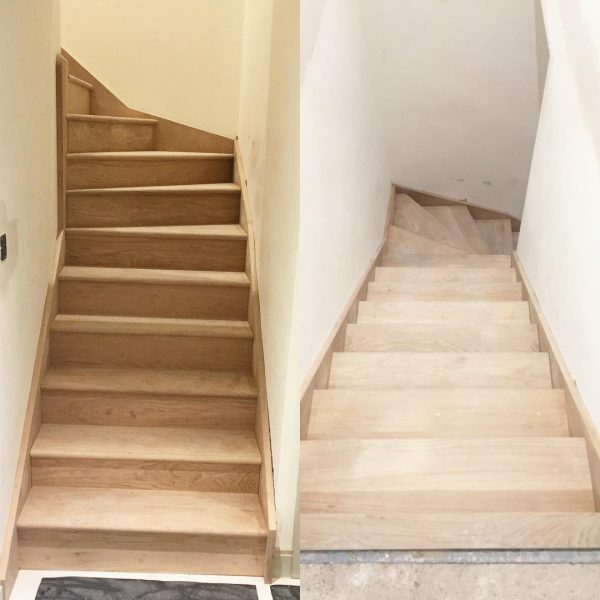 Complete the look of your staircase with a set of high-quality stair caps. 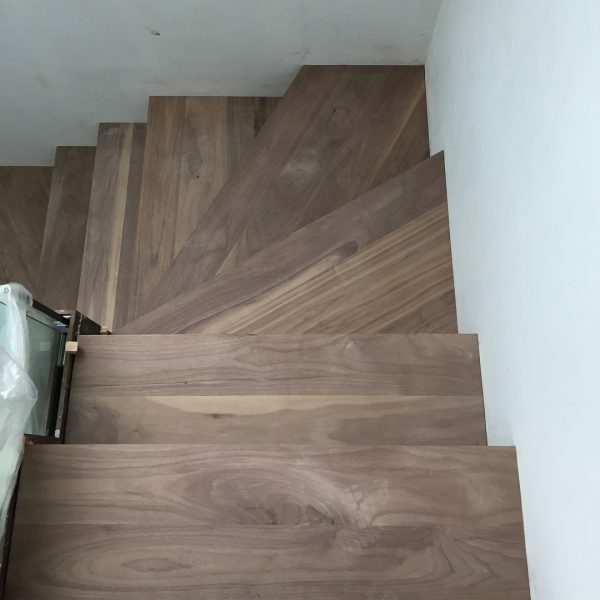 These prefabricated hardwood stair covers will fit your stairs perfectly providing exceptional protection. 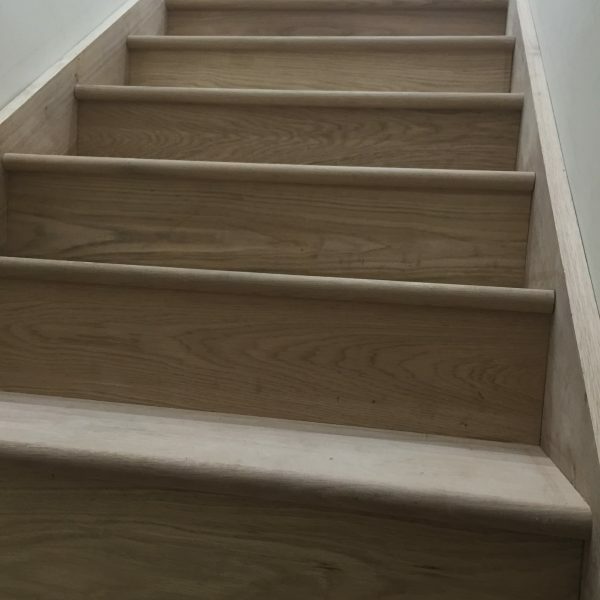 Featuring an engineered construction, our stair caps are built to endure the heavily trafficked areas of your home. 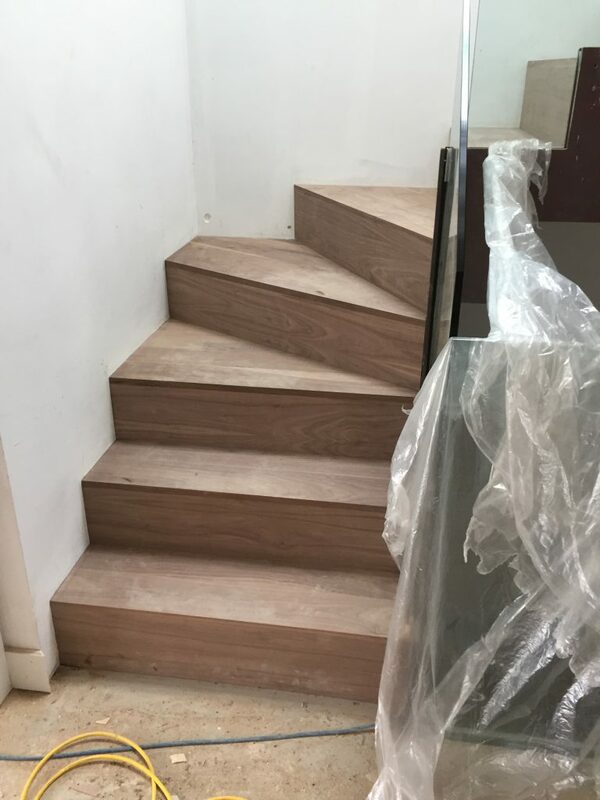 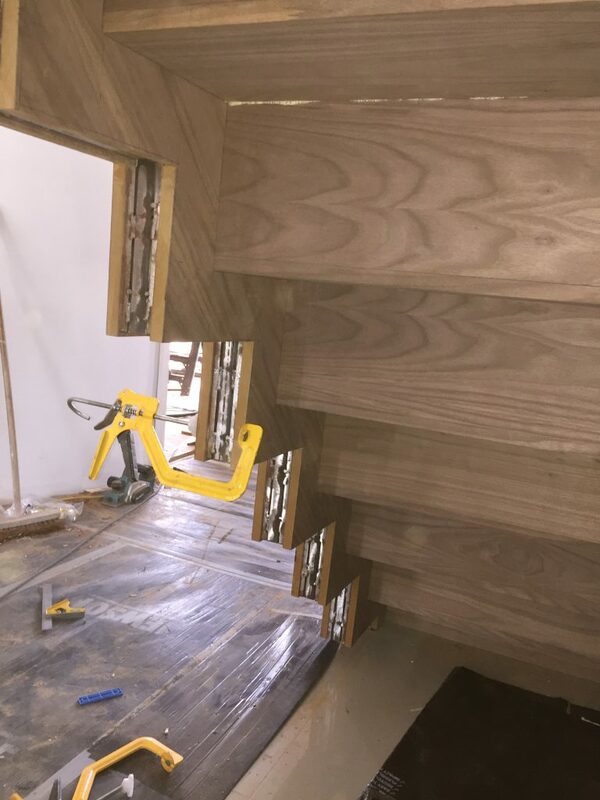 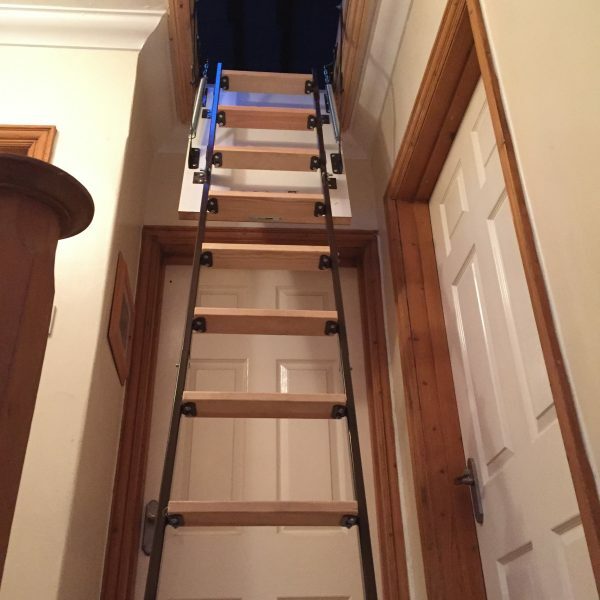 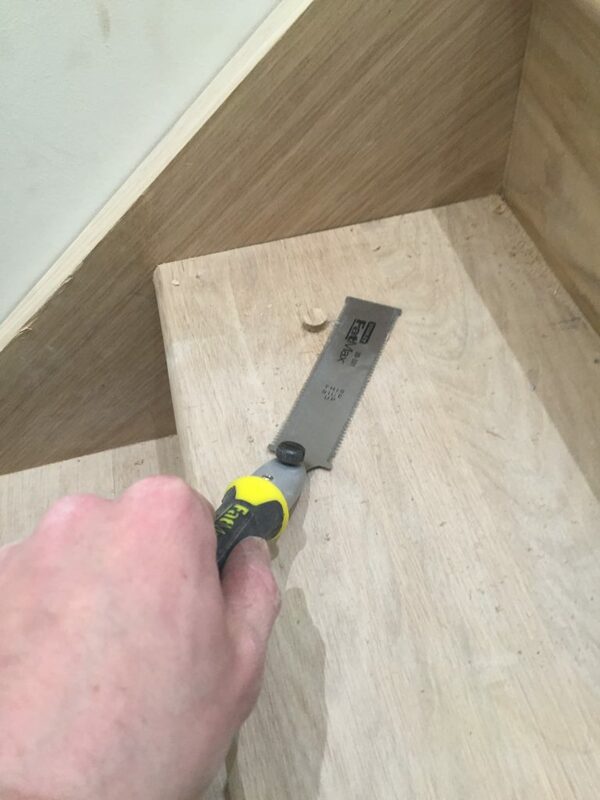 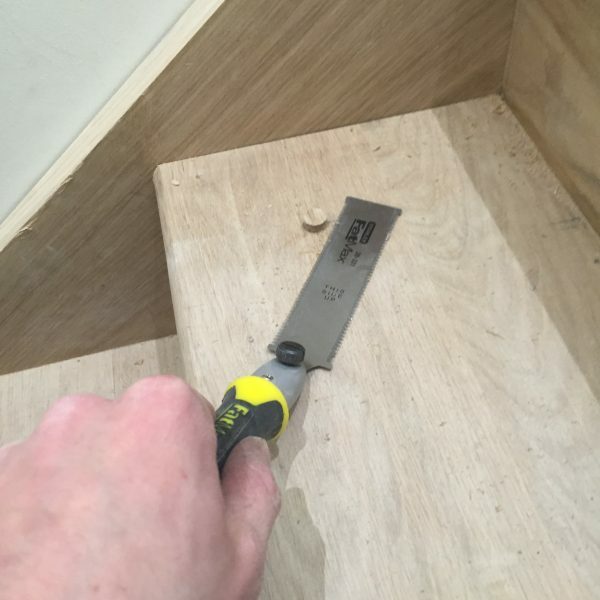 As part of our stair capping service, Burrwood Carpentry not only supplies but also fits your stair caps for you. 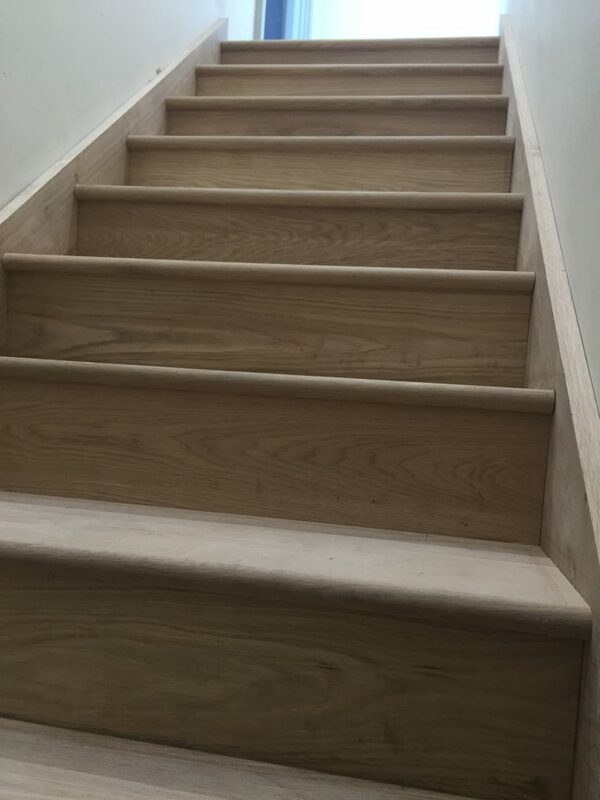 Our stair caps are competitively priced and come in a wide range of styles and colours to suit all property interiors. 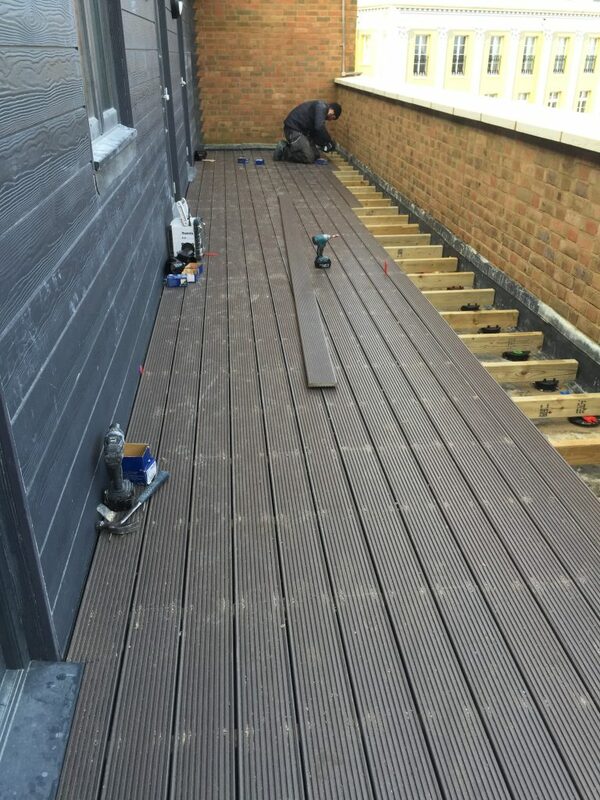 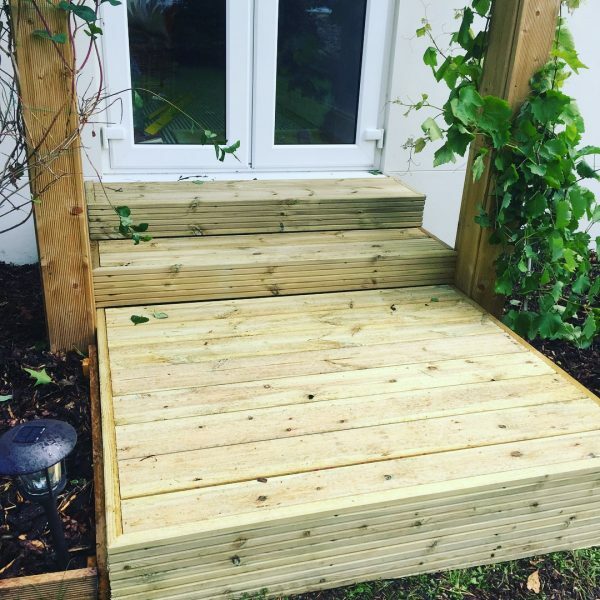 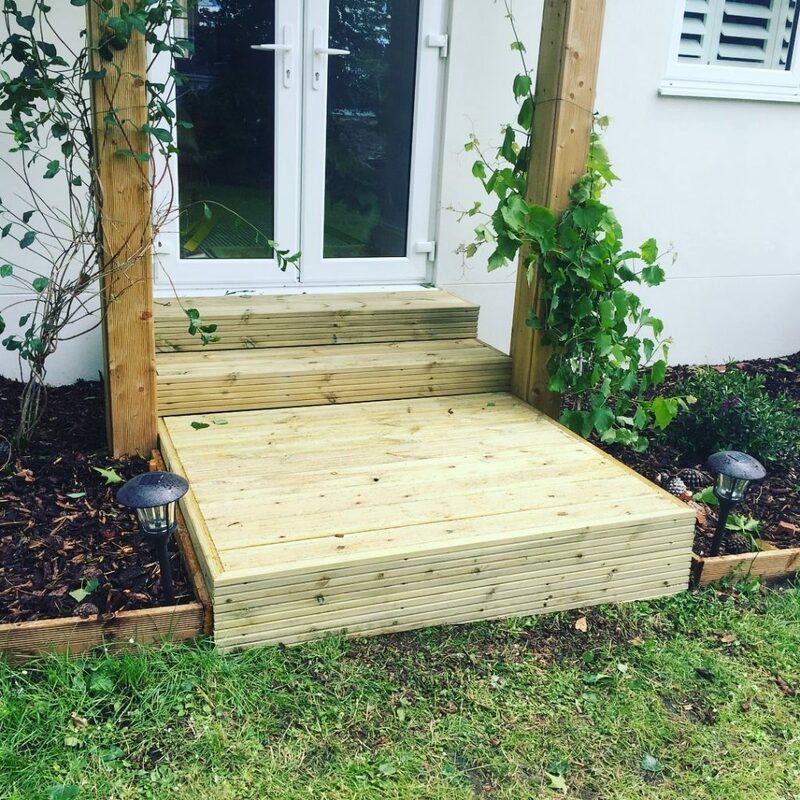 Burrwood Carpentry offer a wide range of decking services to our customers across the Dorset and Hampshire areas. 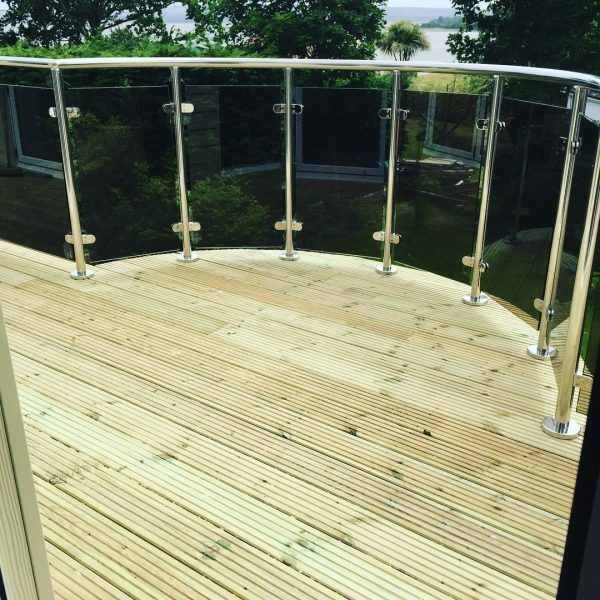 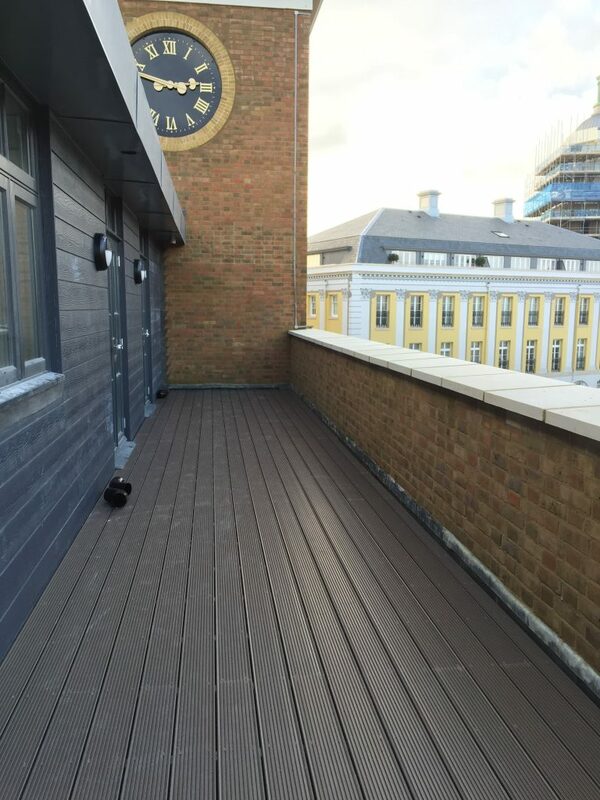 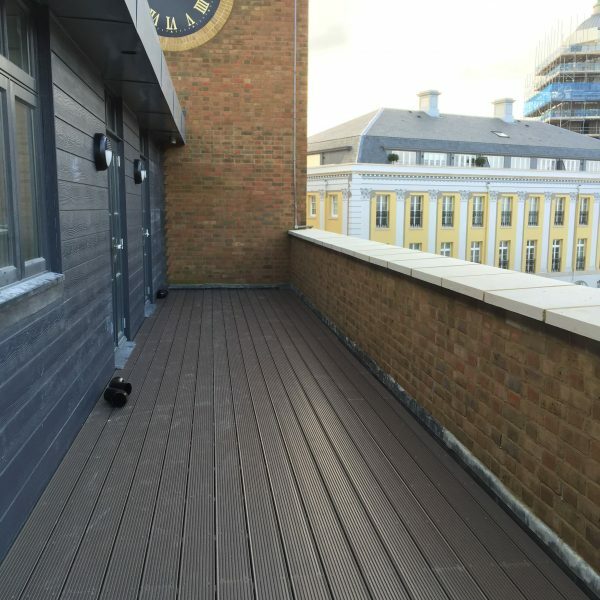 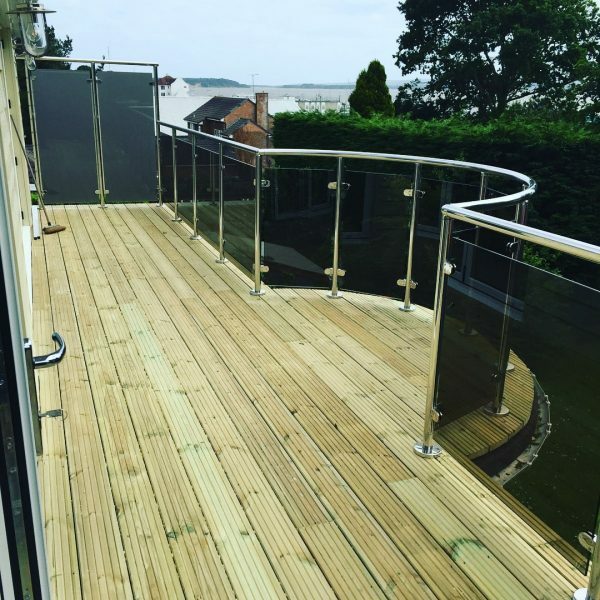 We use the highest quality materials to ensure a long lasting finish for both garden and balcony decking. 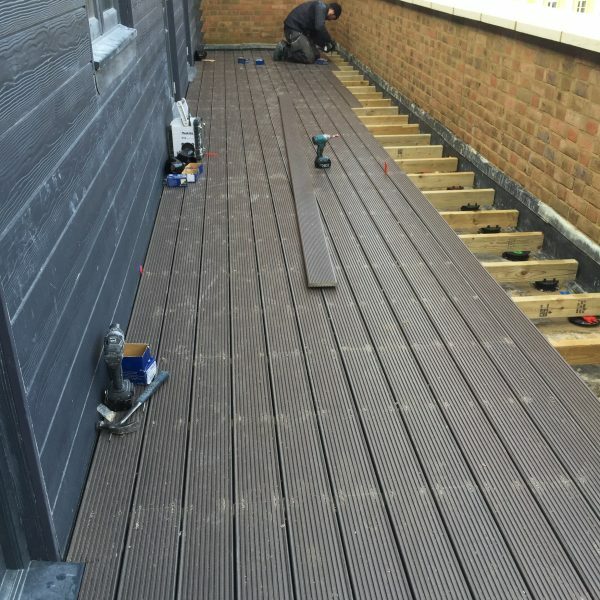 Burrwood Carpentry offer all kinds of cladding, including wooden, plastic and cement boards. 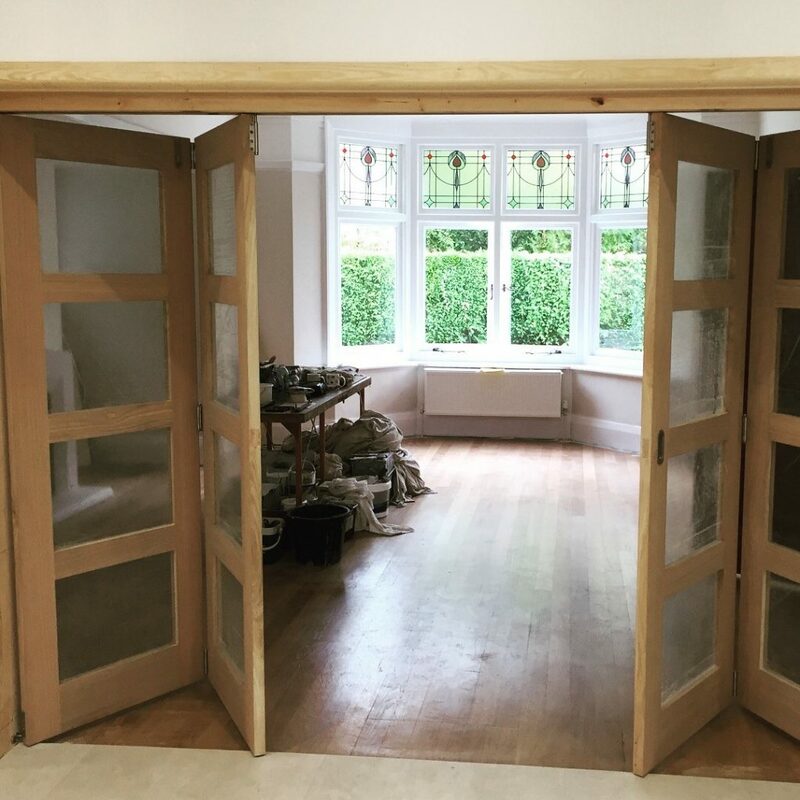 Whether its a replacement window or a windows for an extension/new build, Burrwood Carpentry create a bespoke range of sash windows available in a number of woods and finishes.